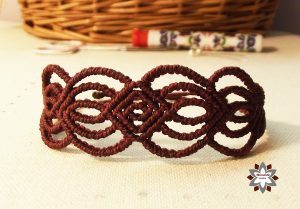 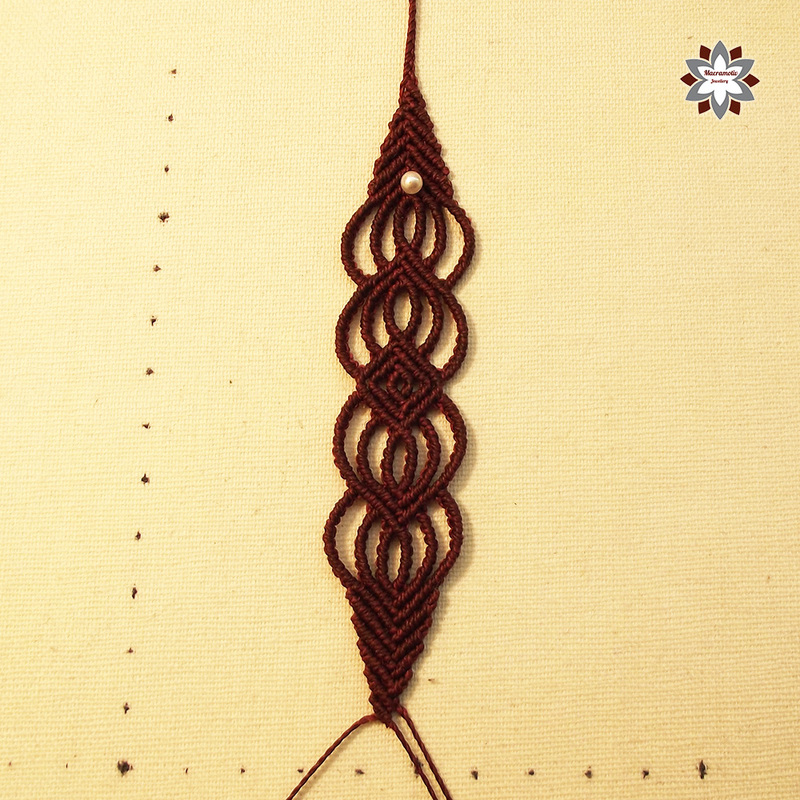 This time I started the bracelet almost in the middle. 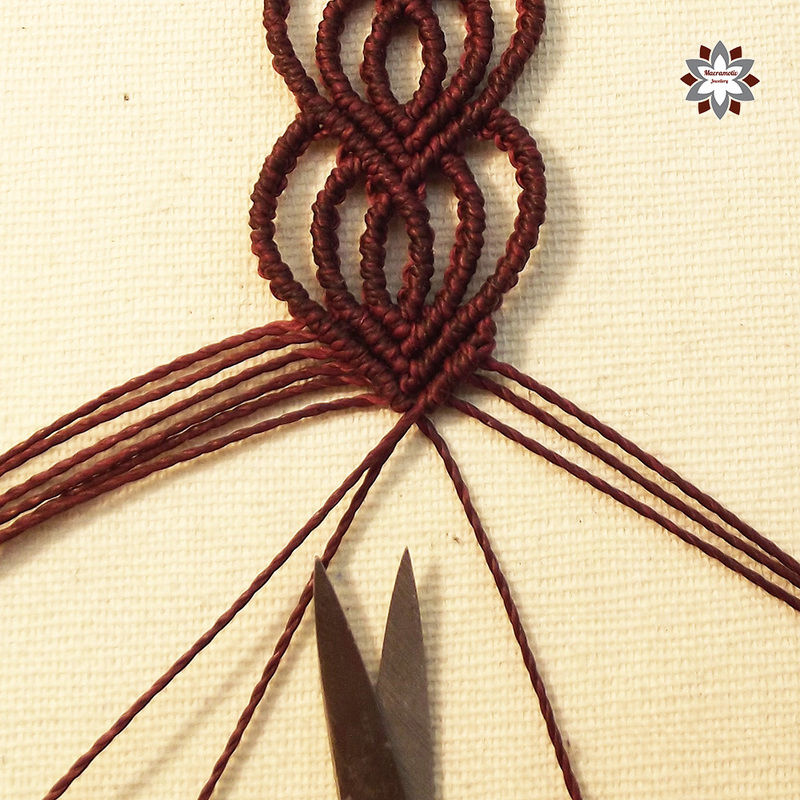 Cut the cords and loosely connect them 10 cm-s from the middle. 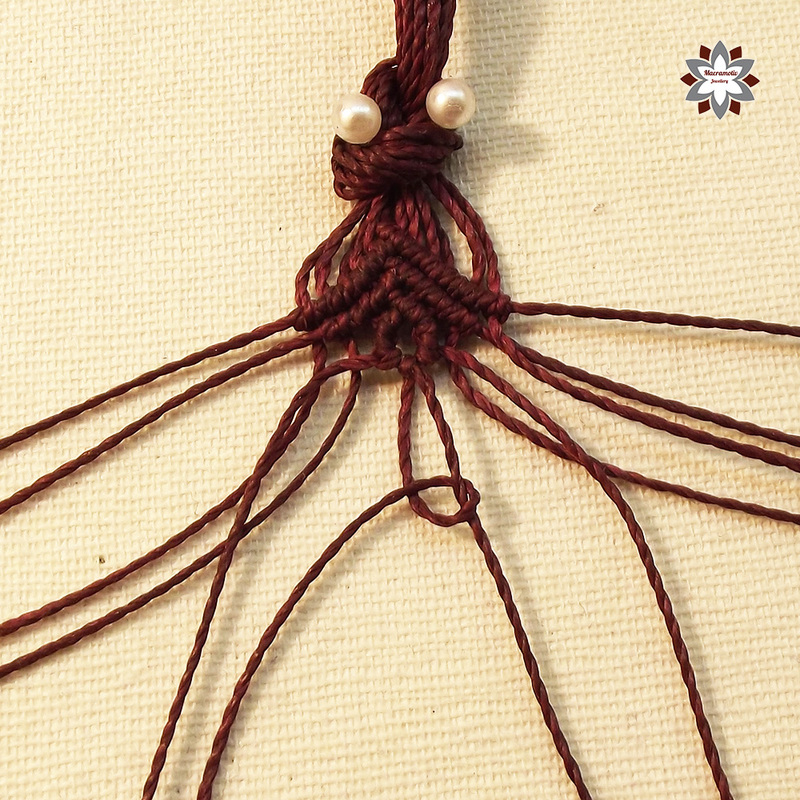 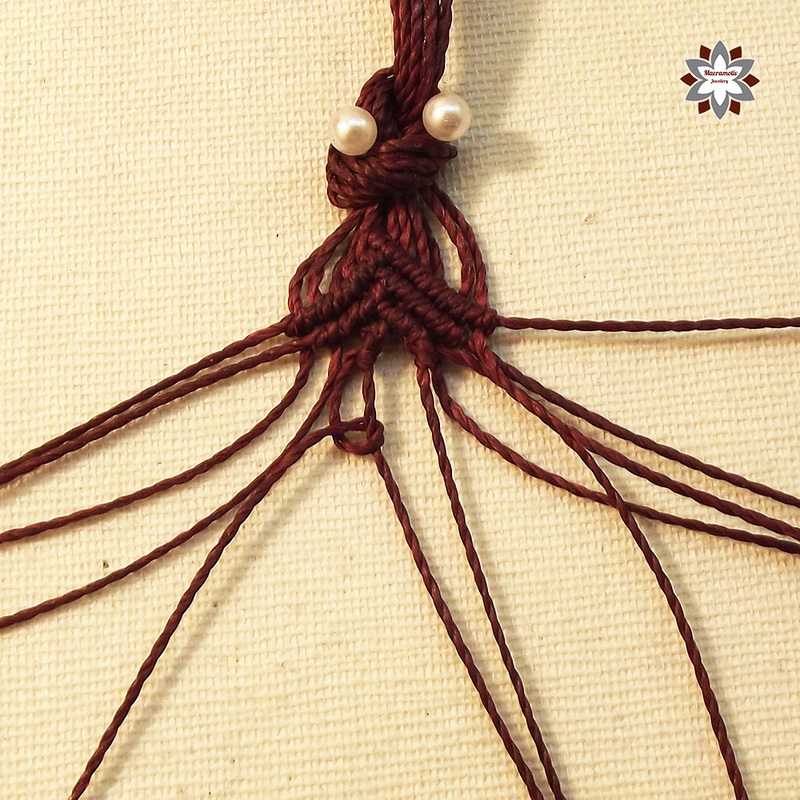 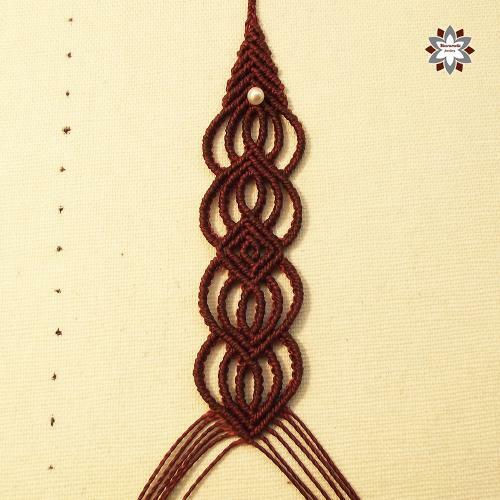 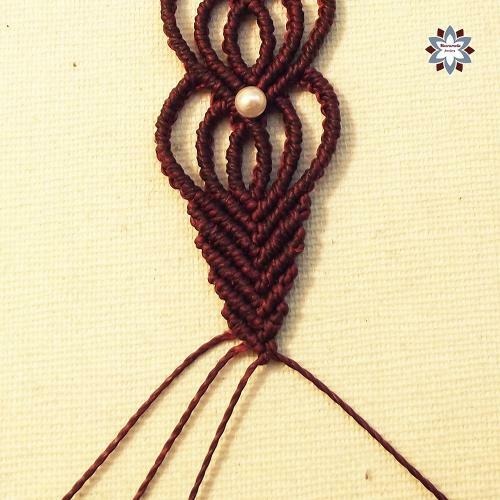 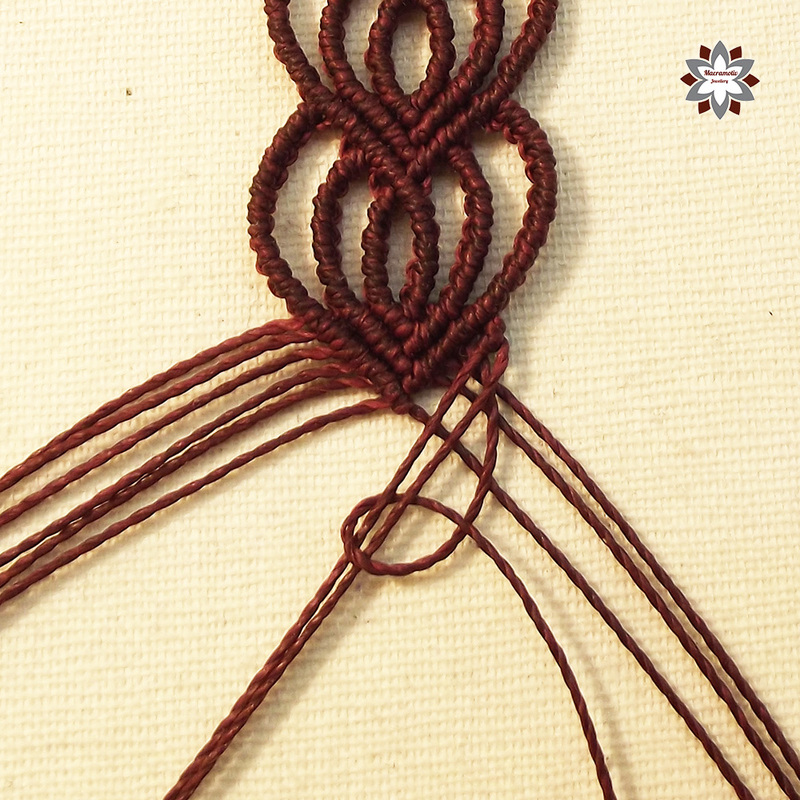 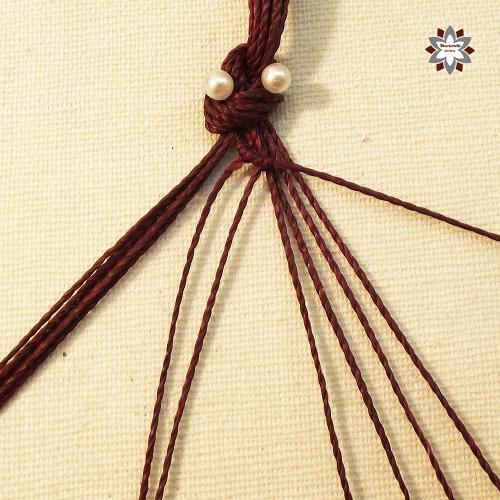 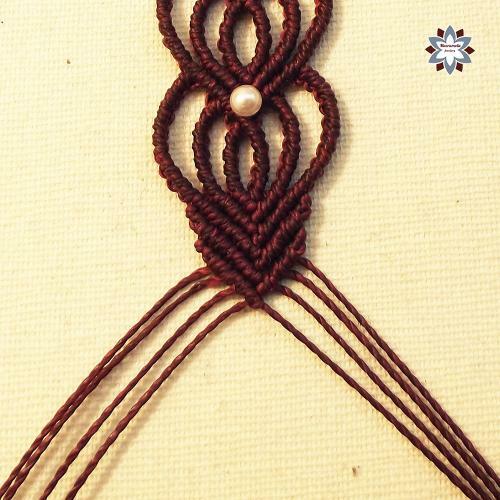 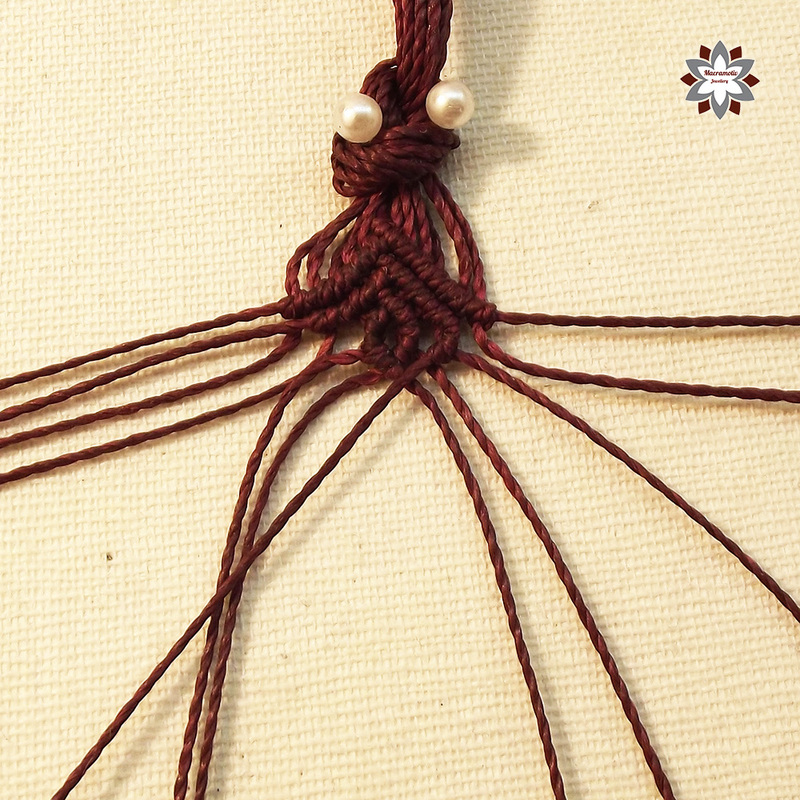 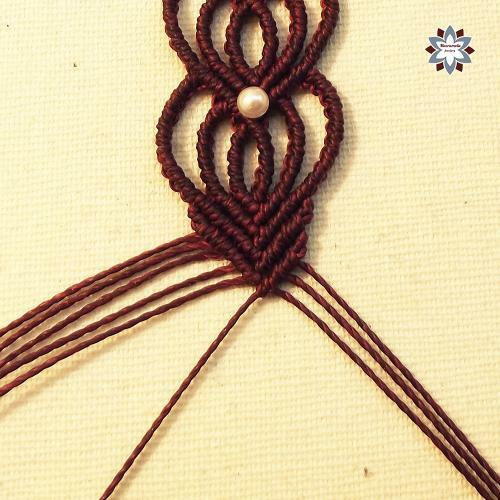 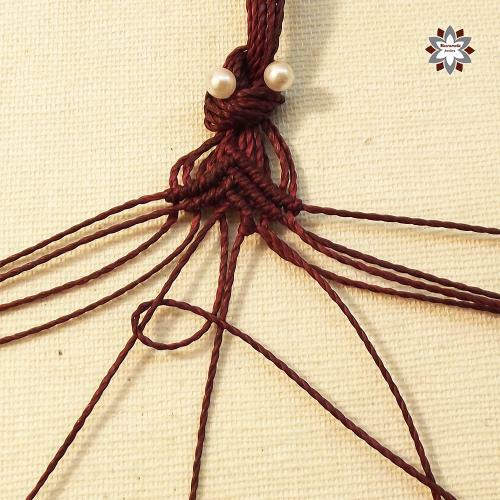 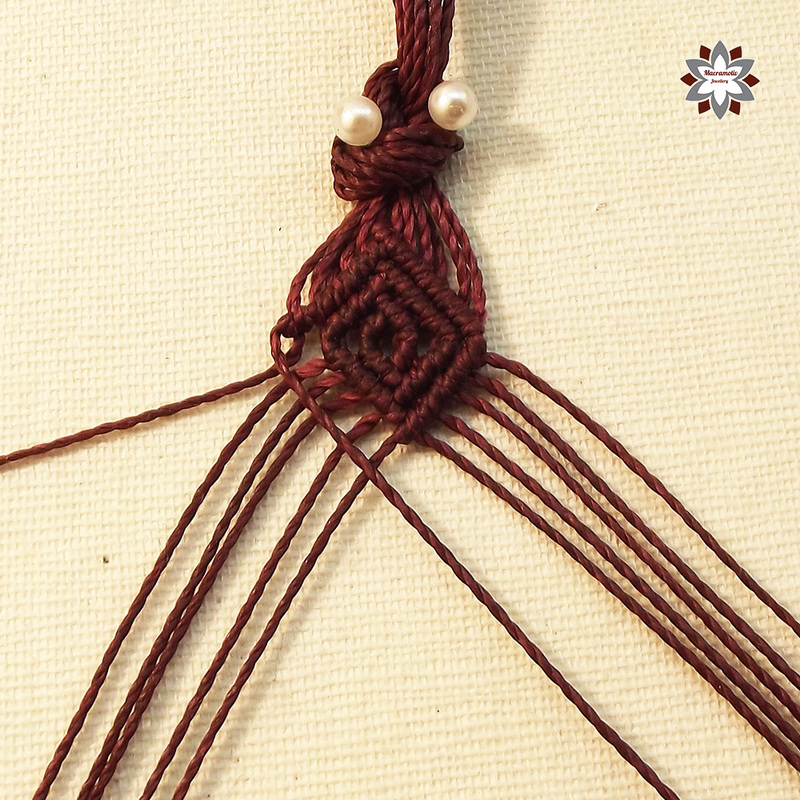 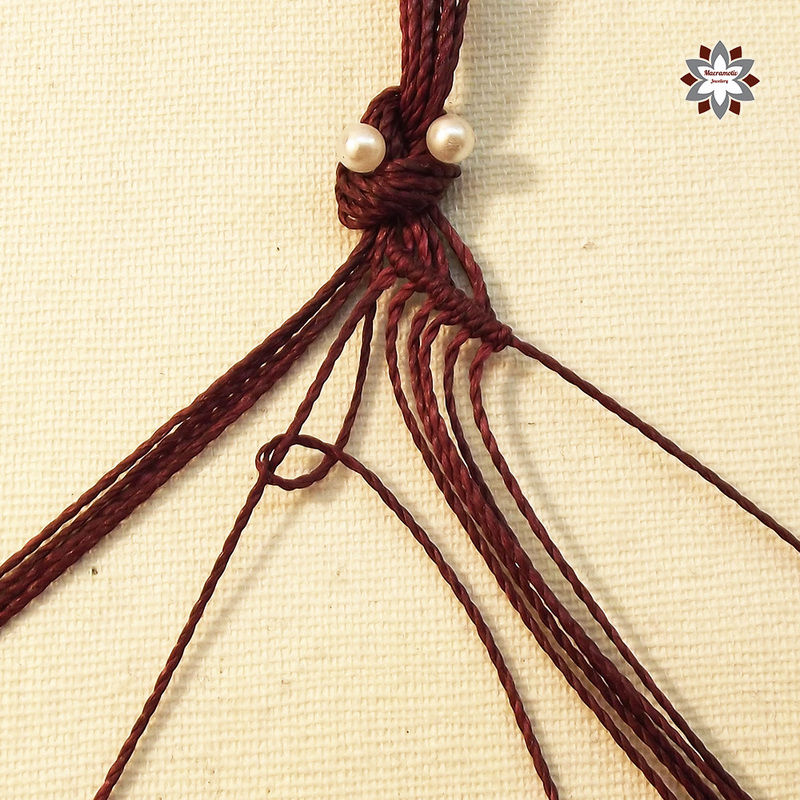 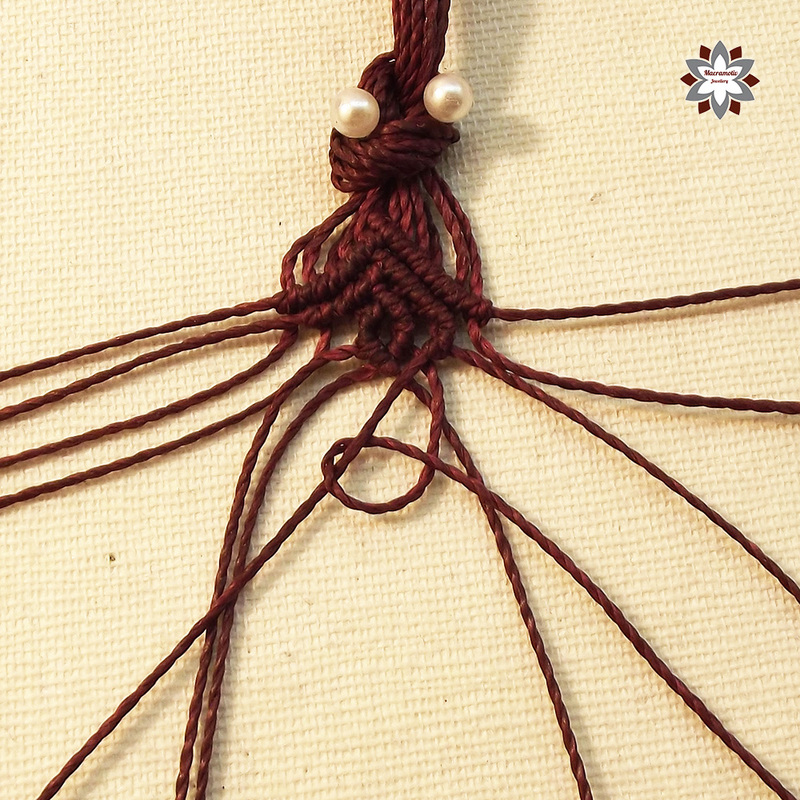 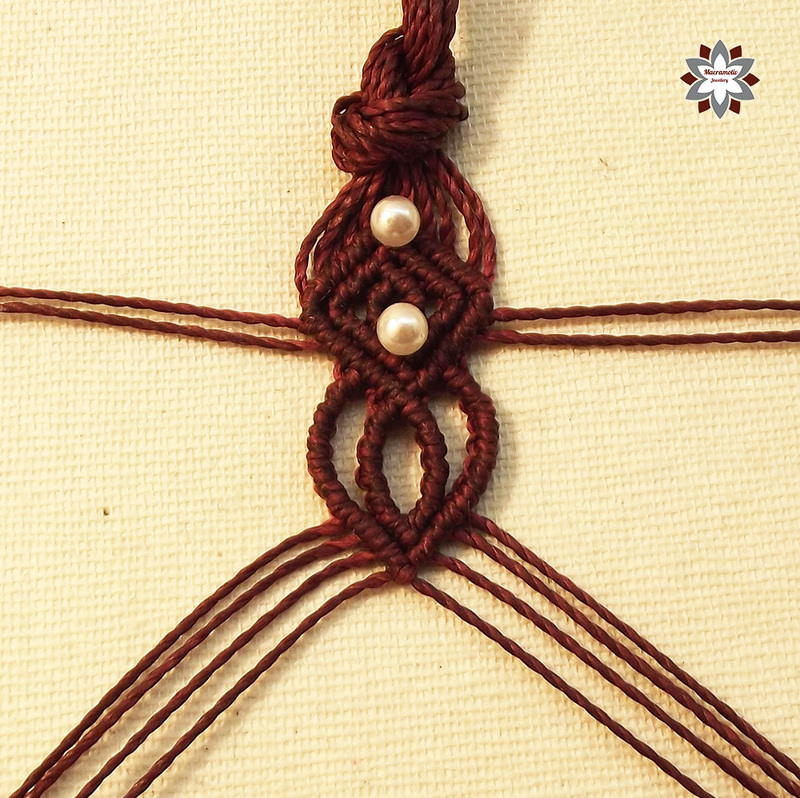 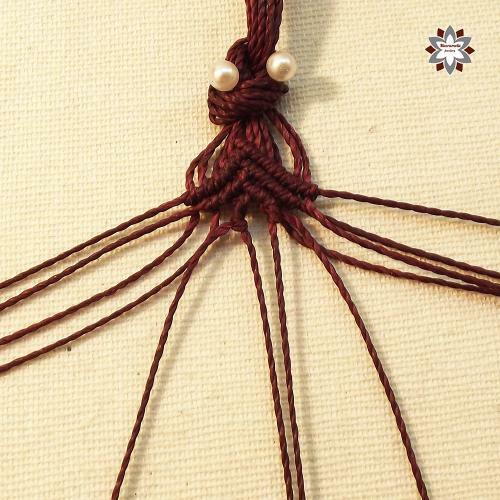 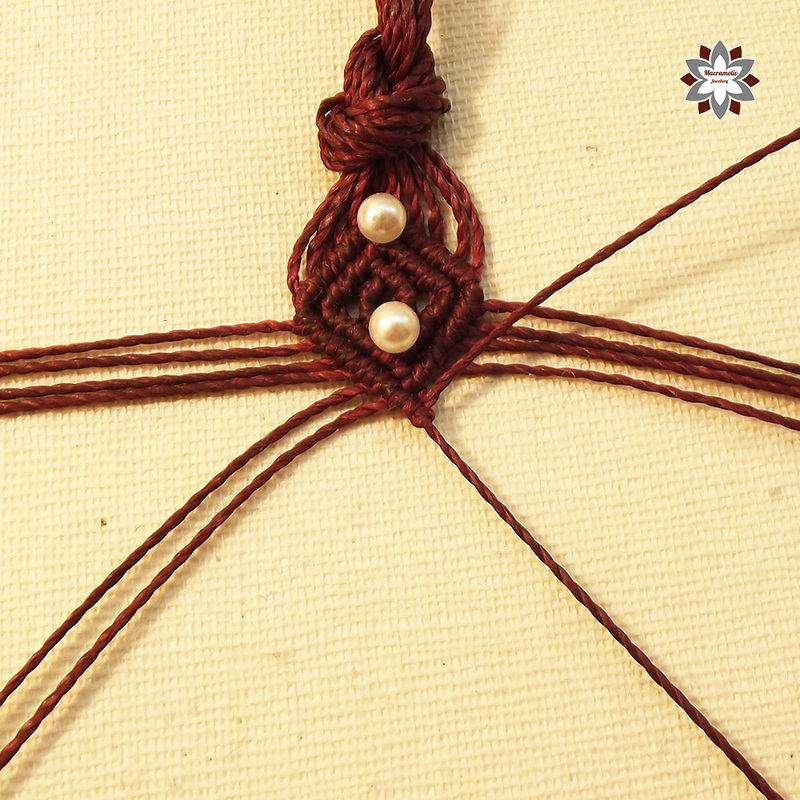 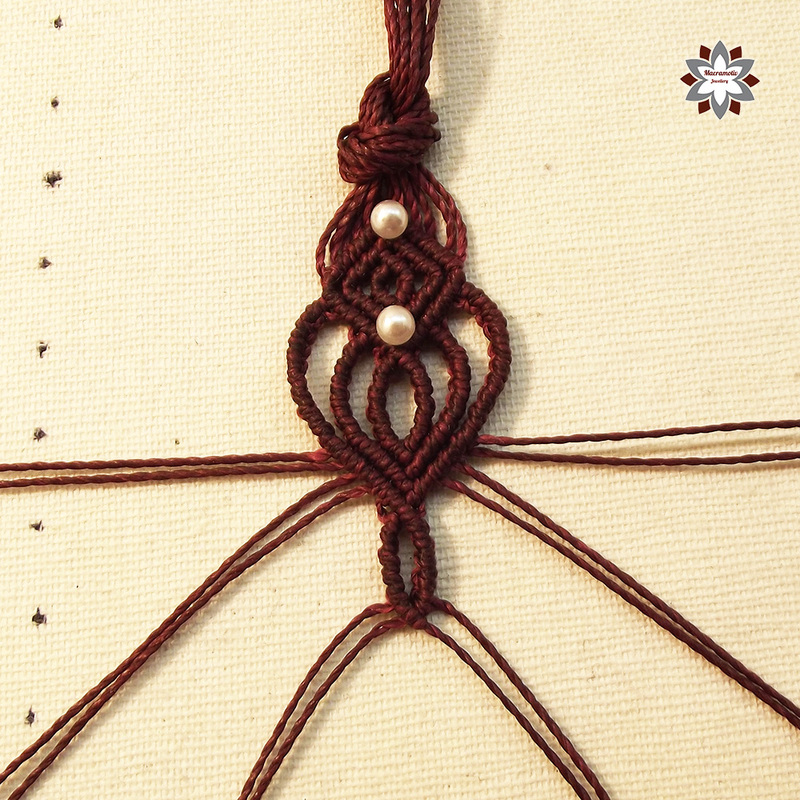 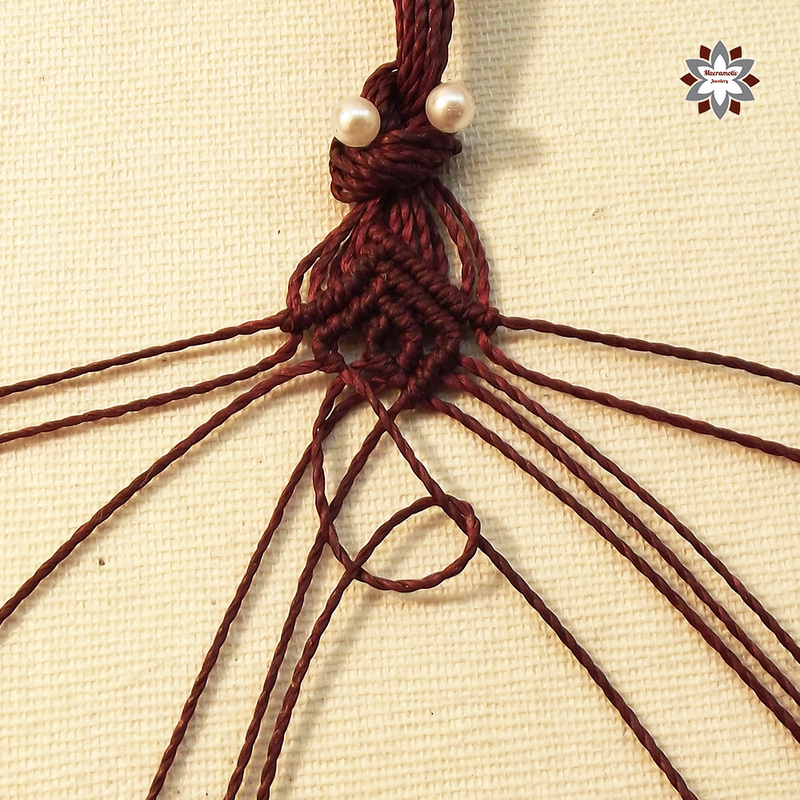 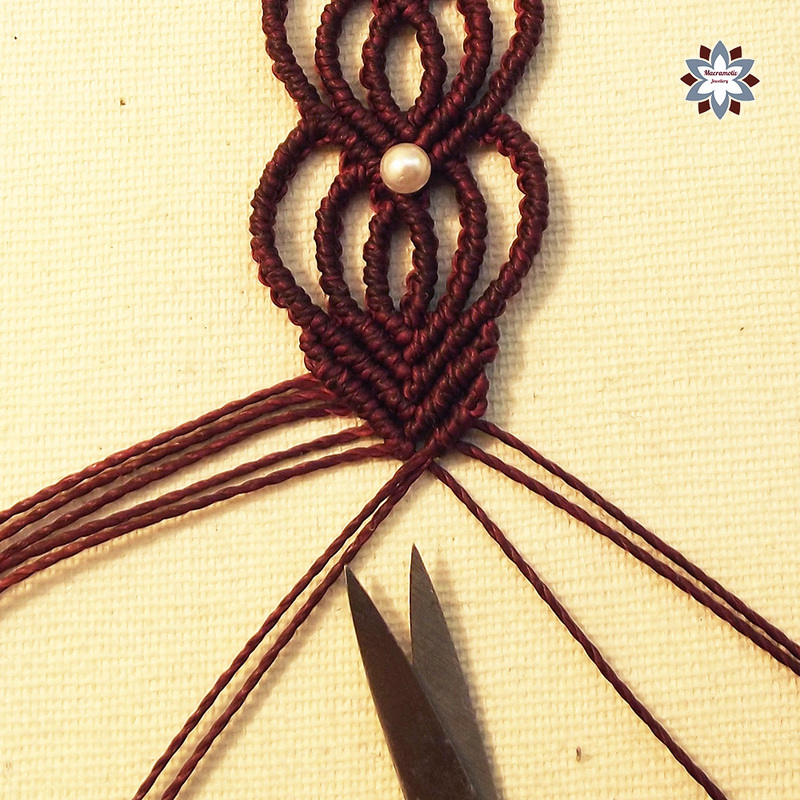 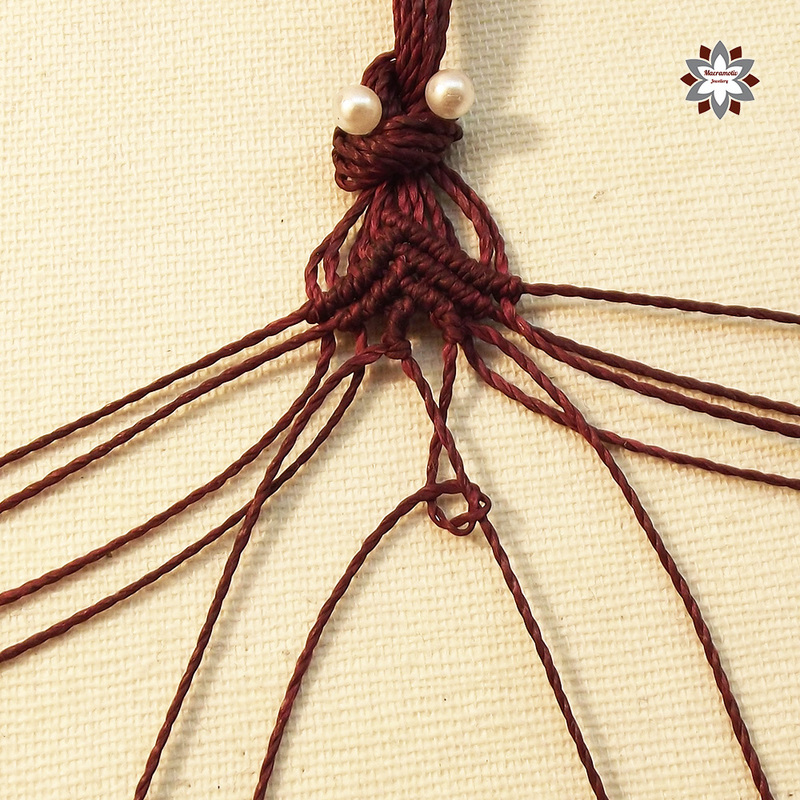 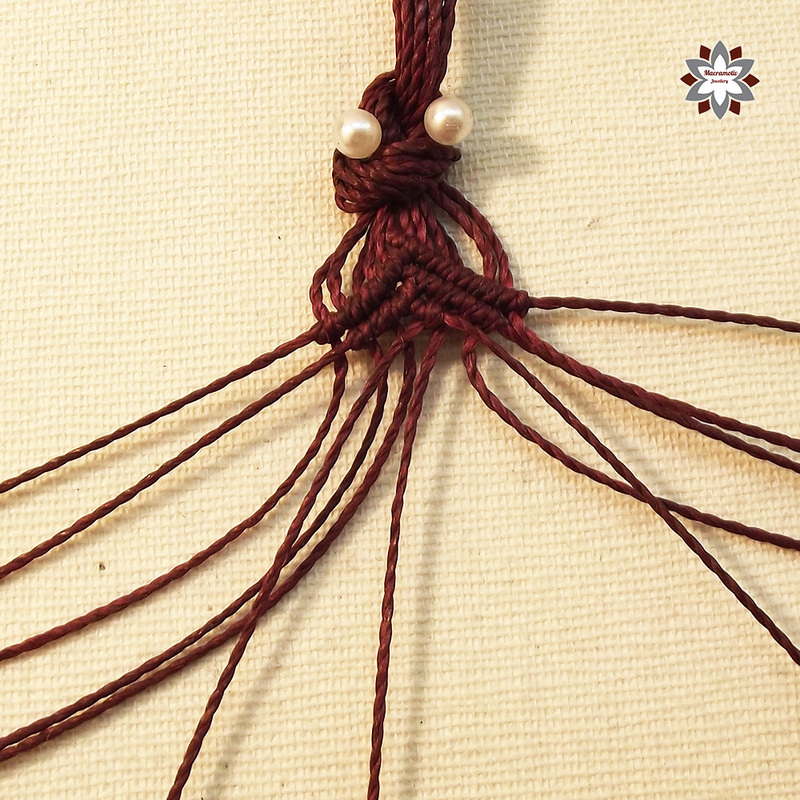 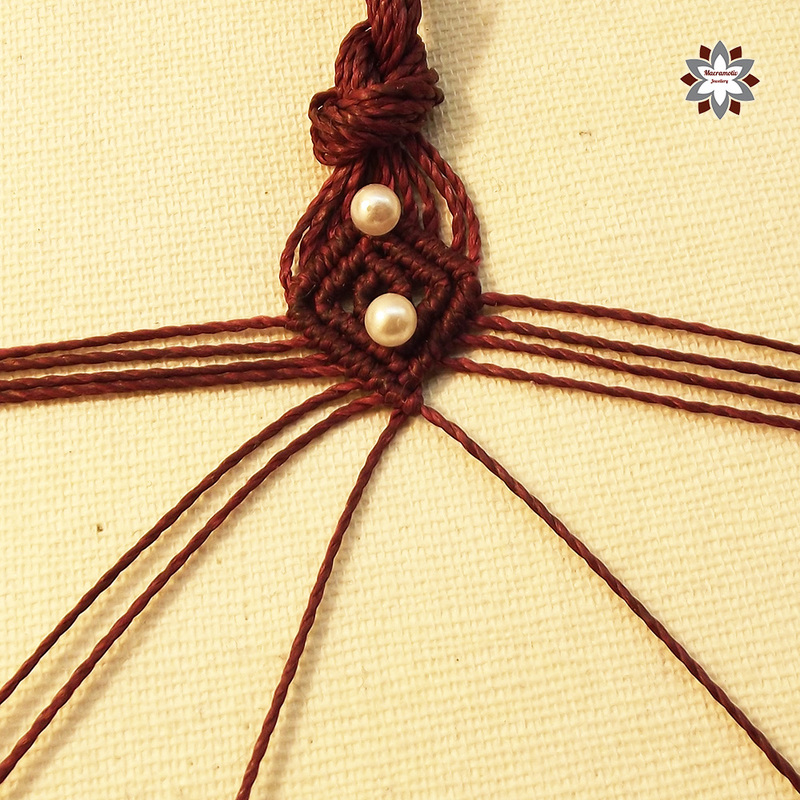 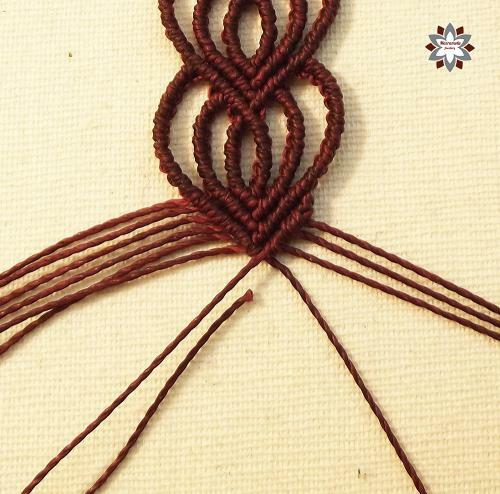 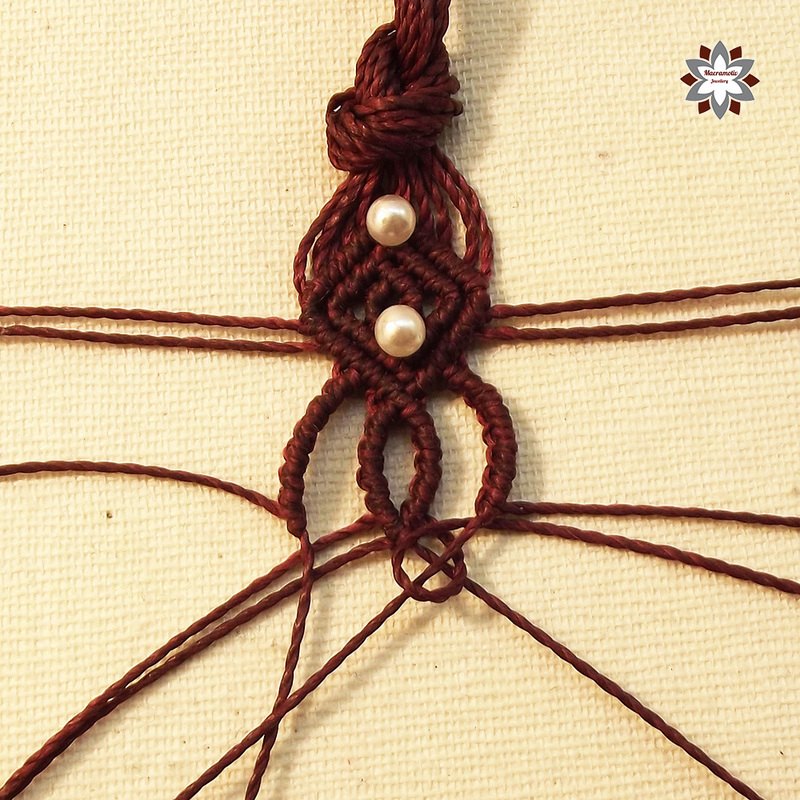 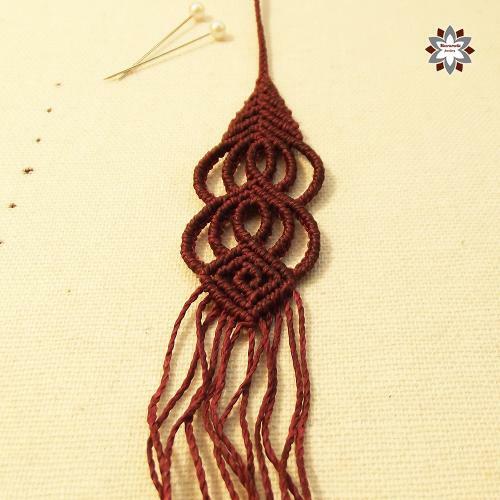 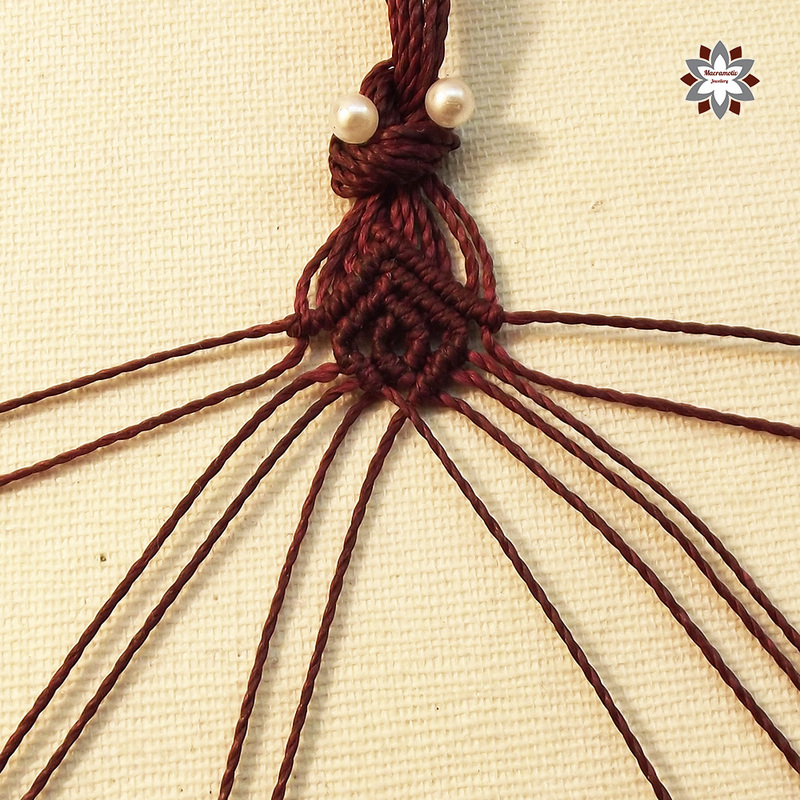 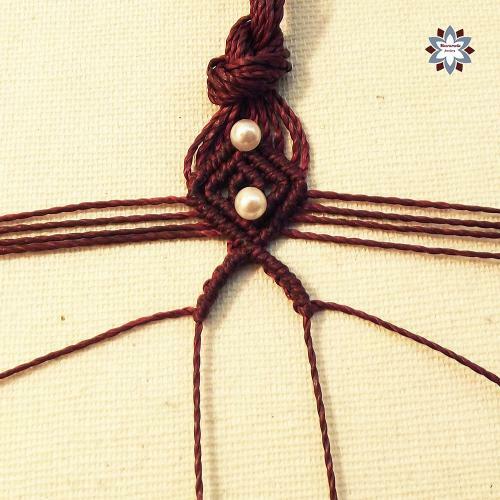 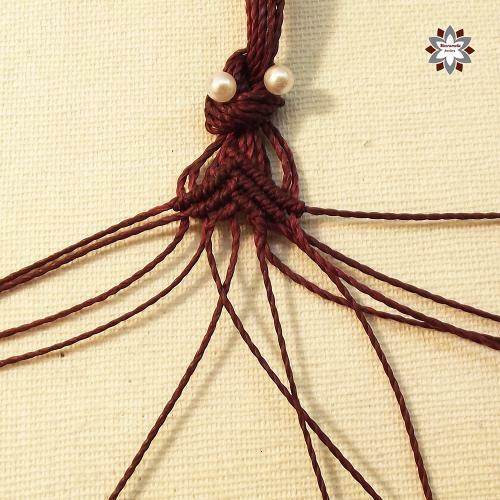 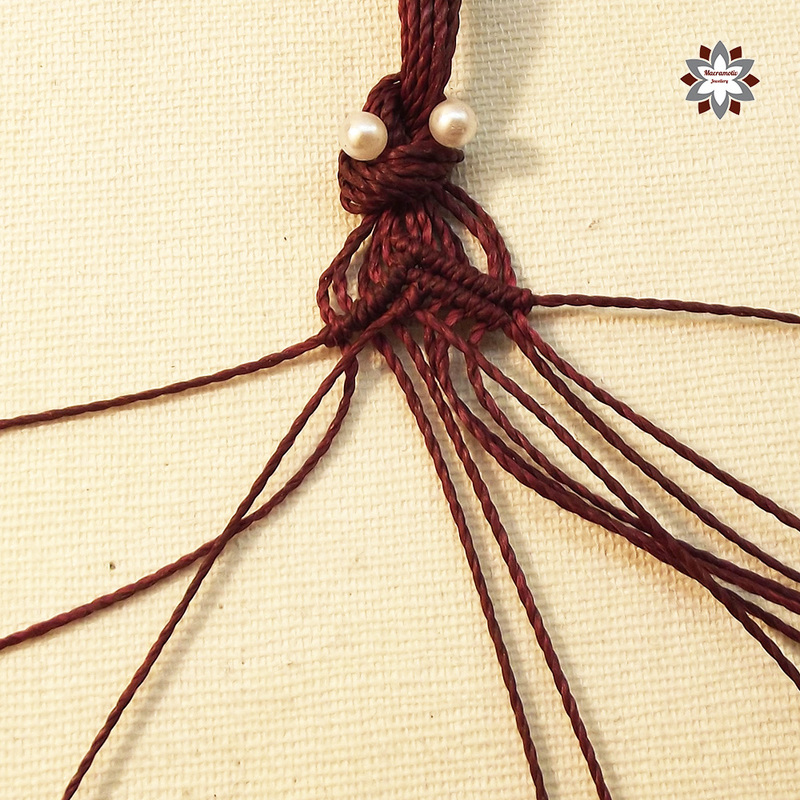 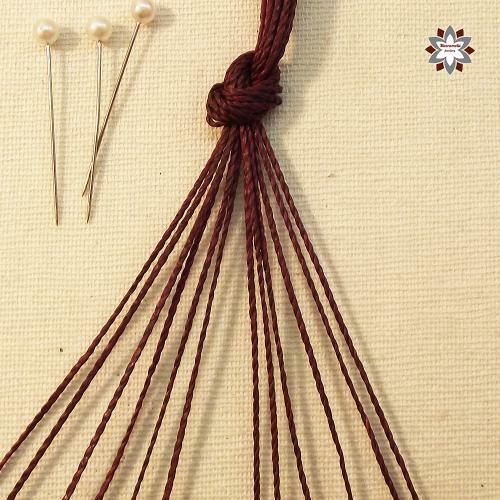 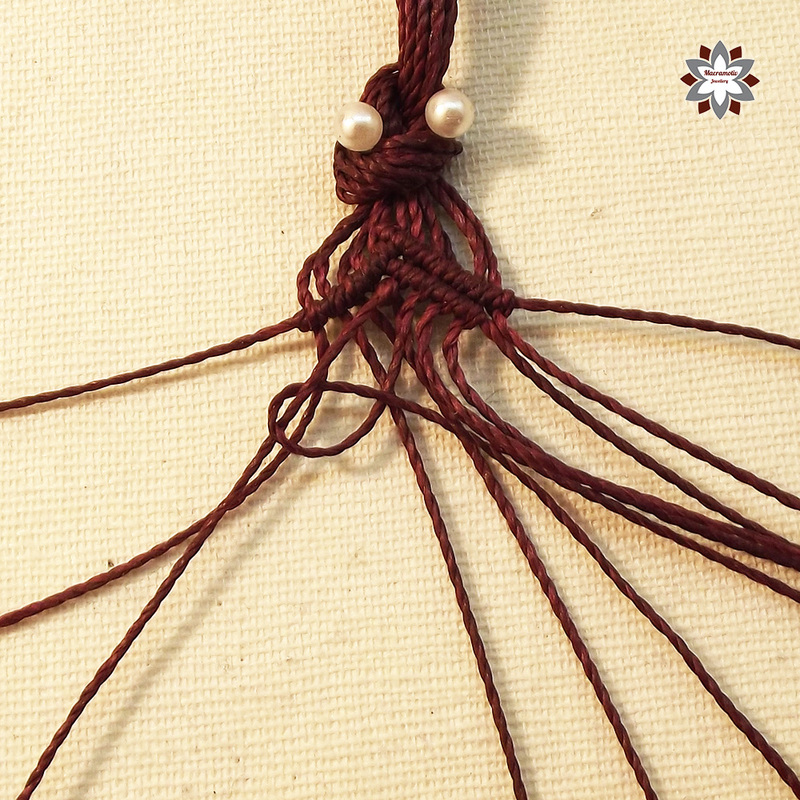 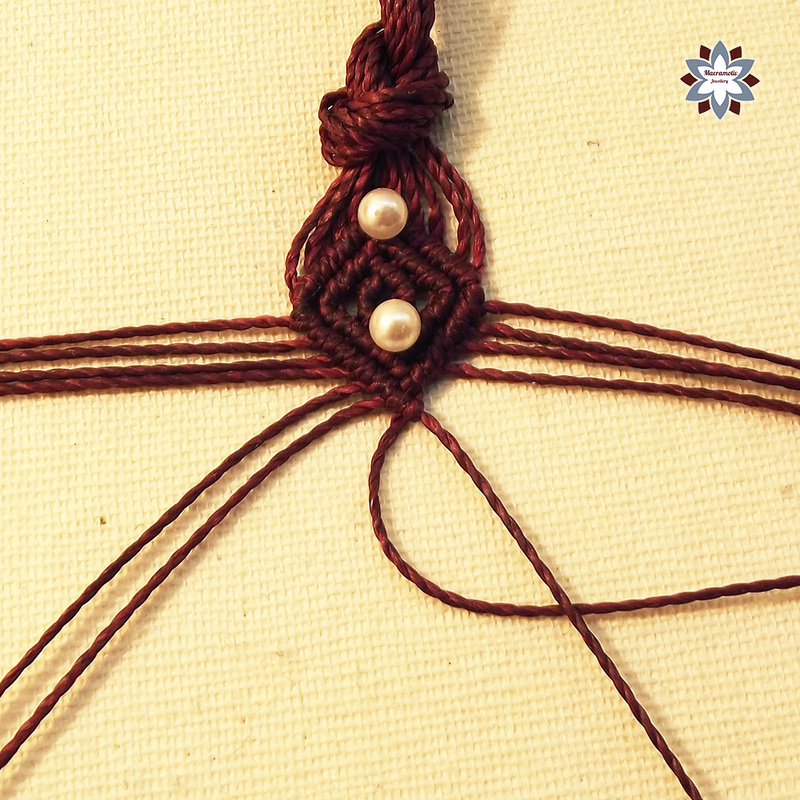 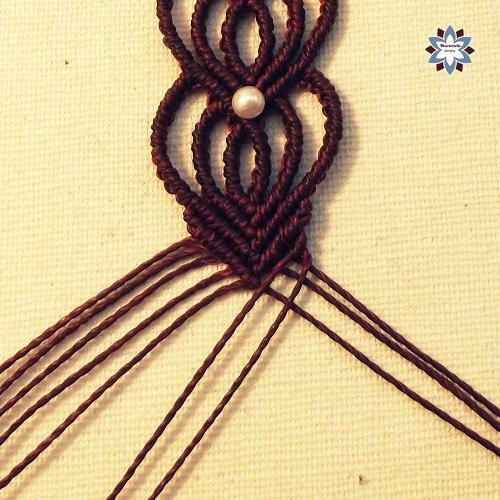 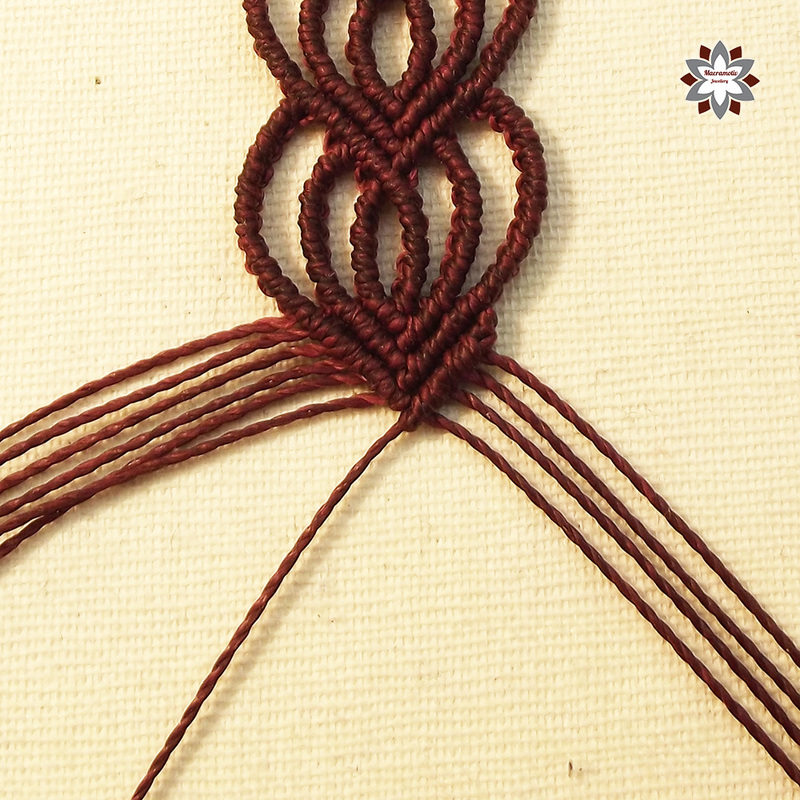 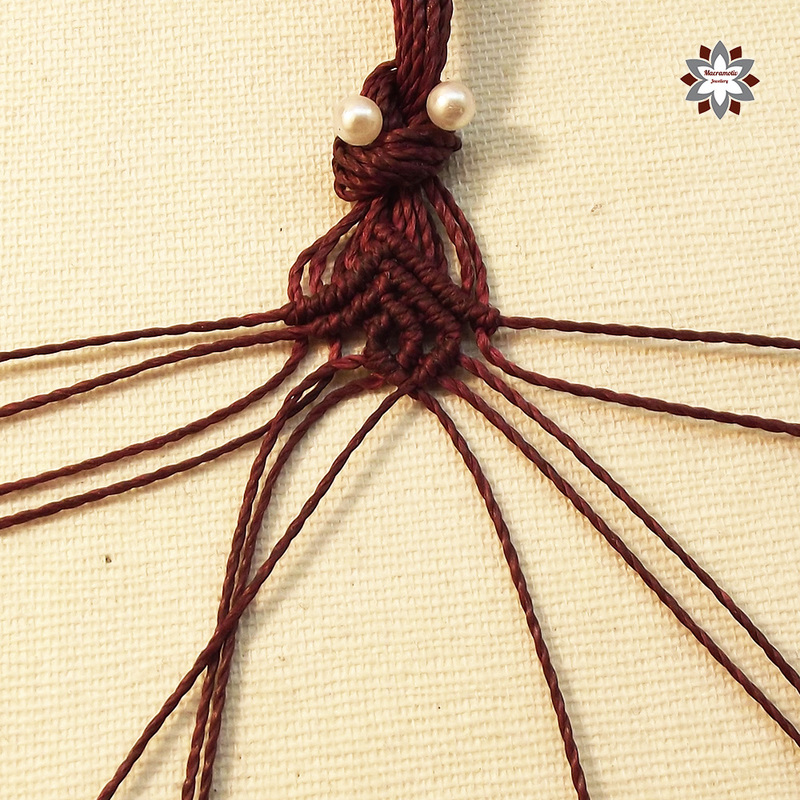 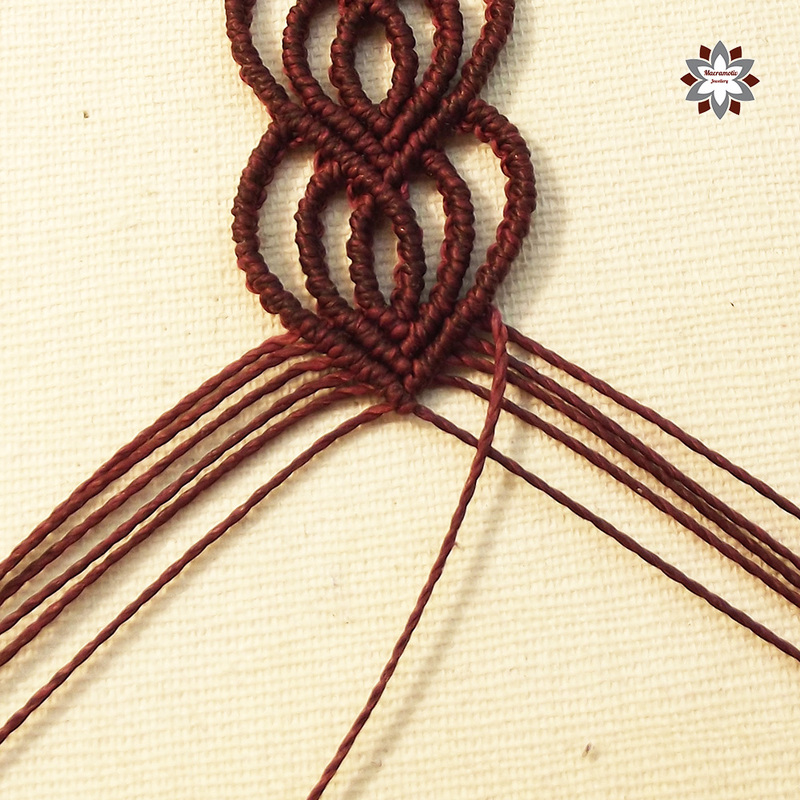 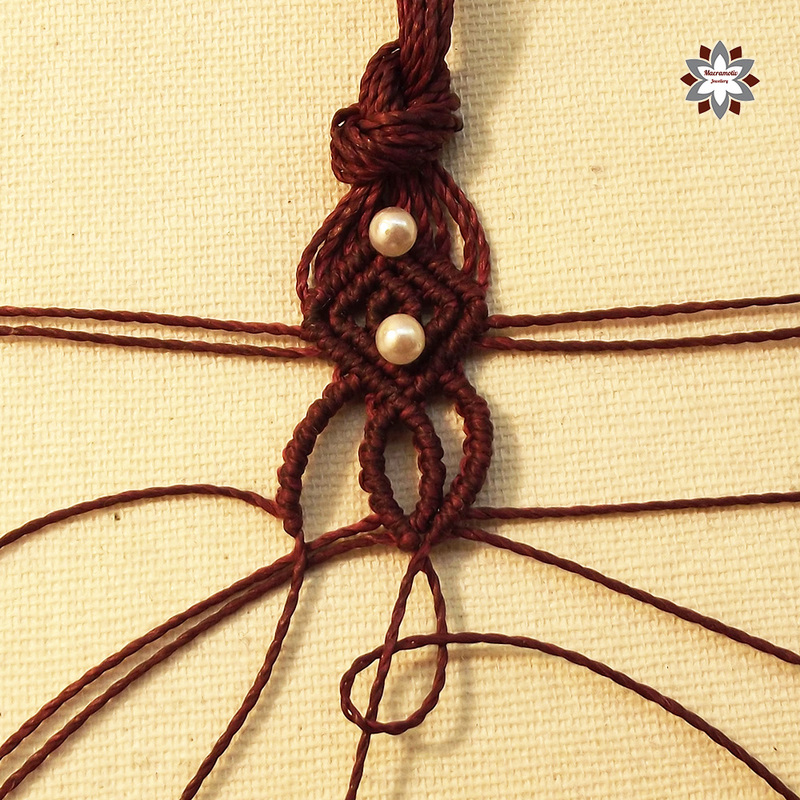 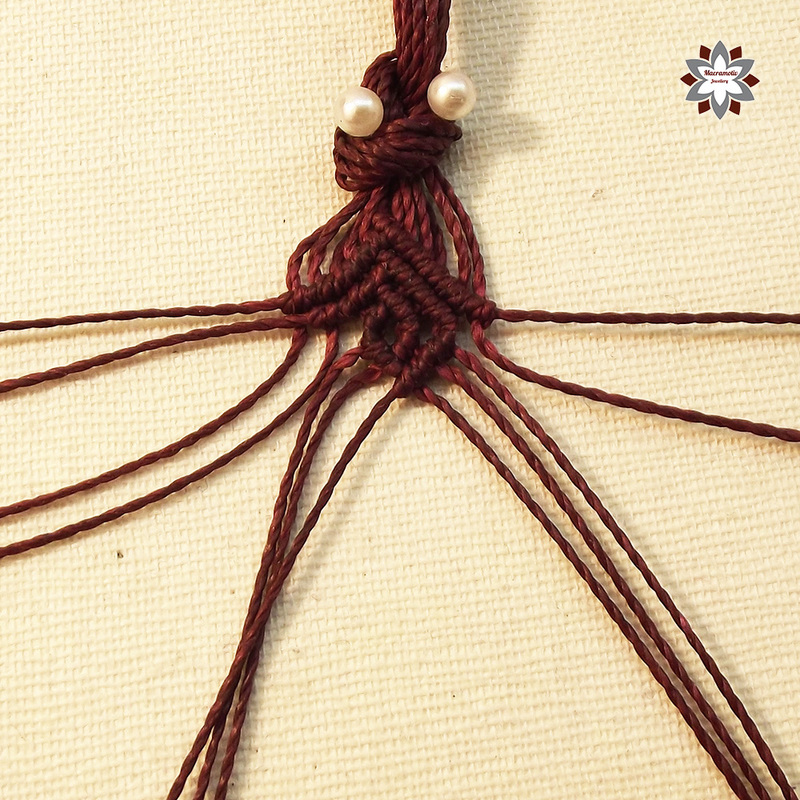 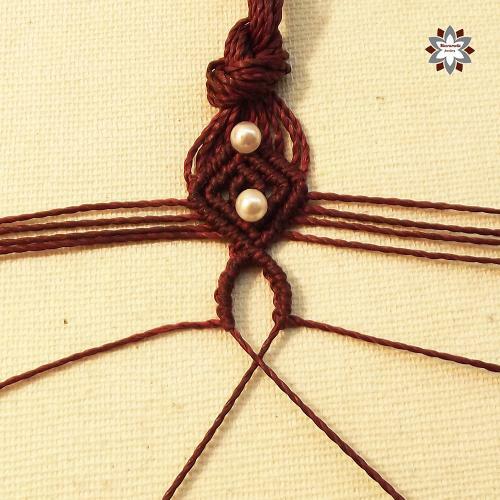 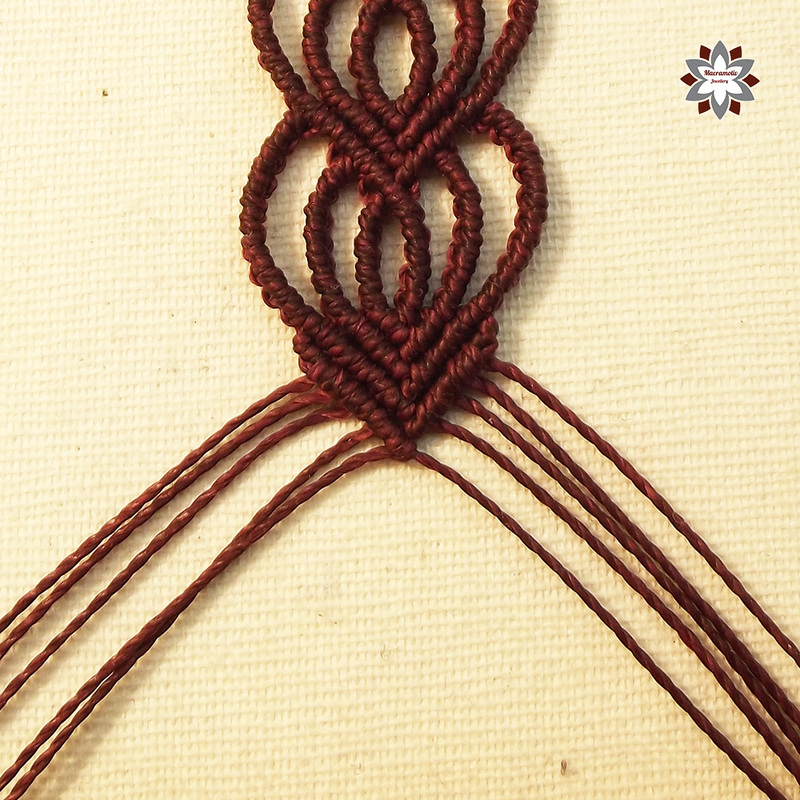 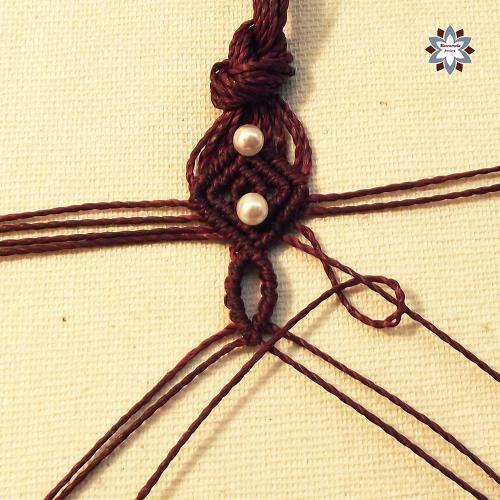 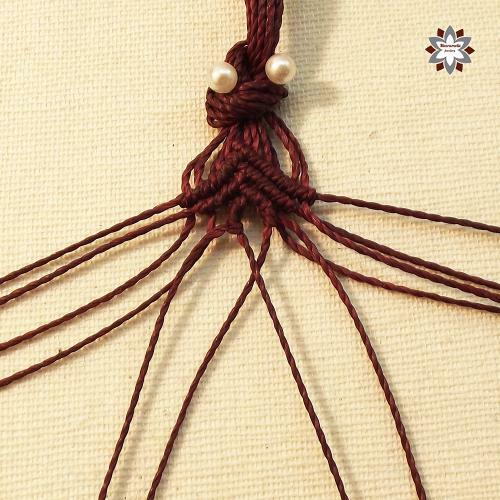 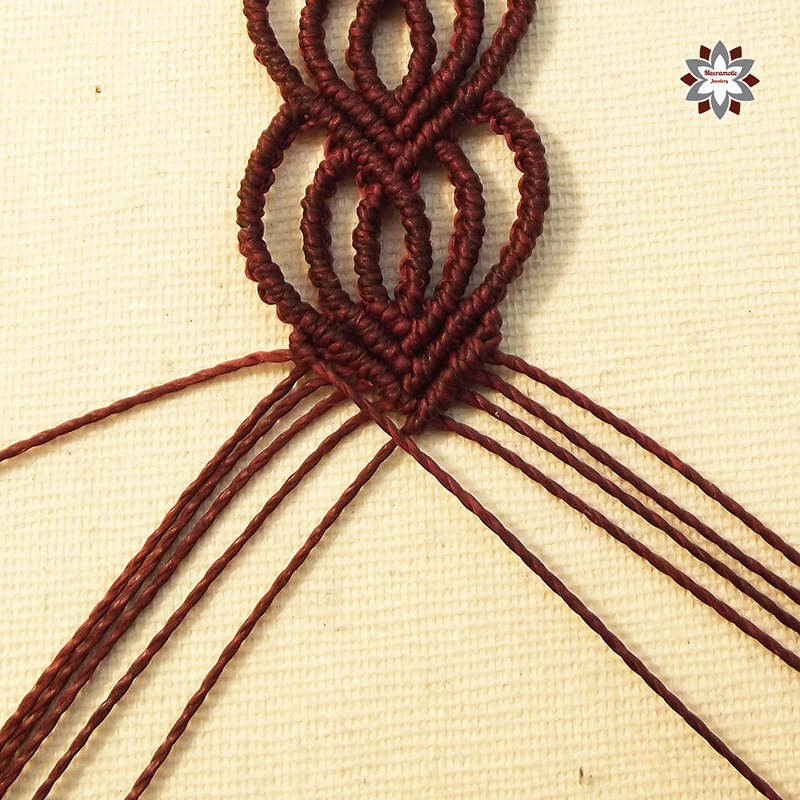 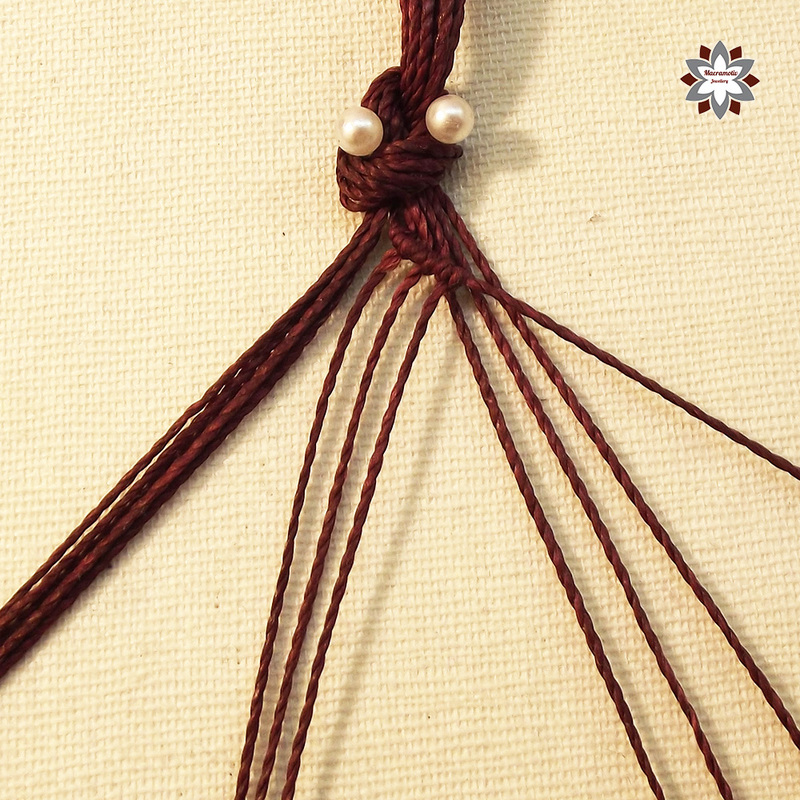 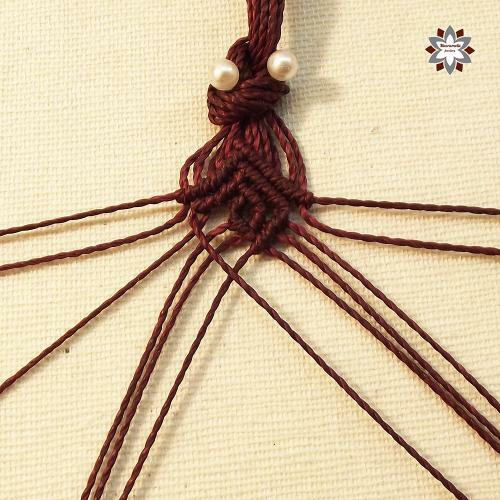 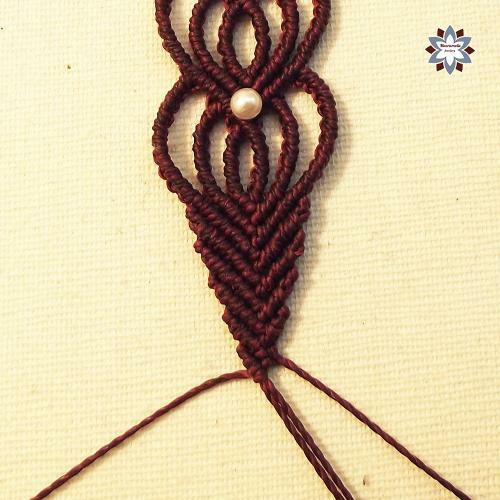 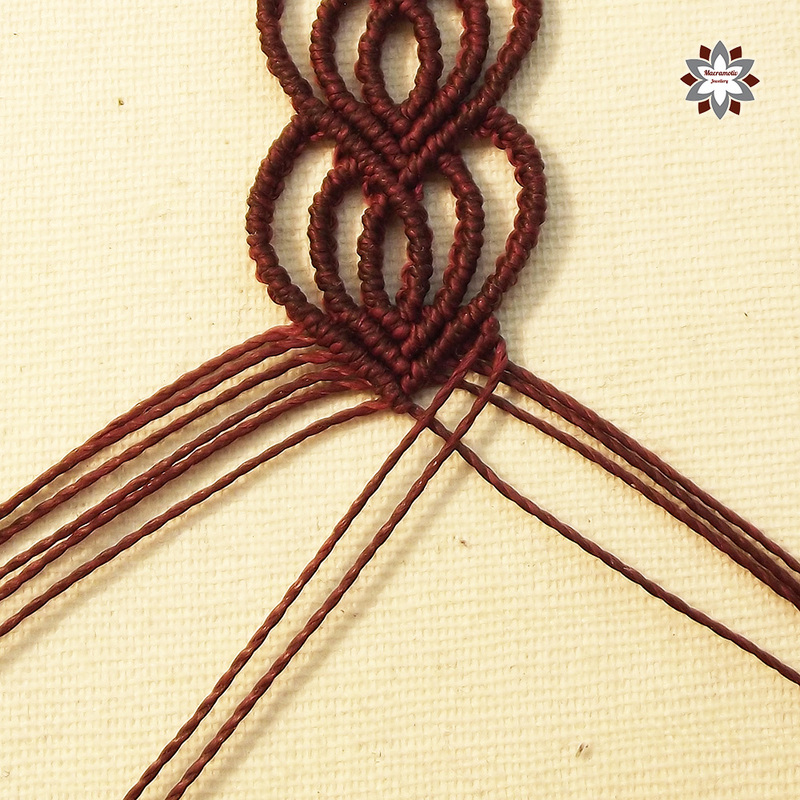 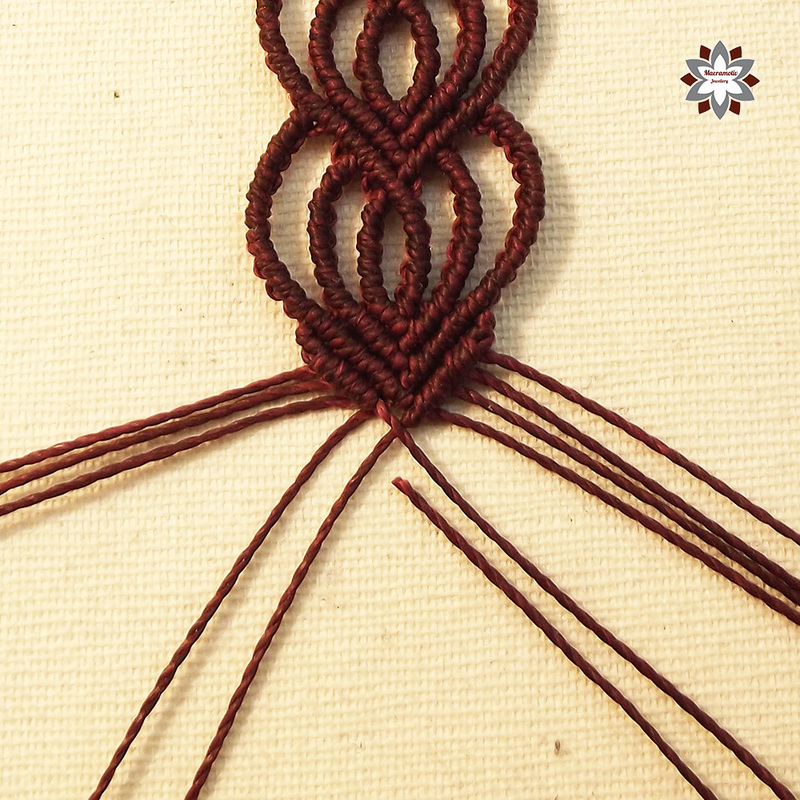 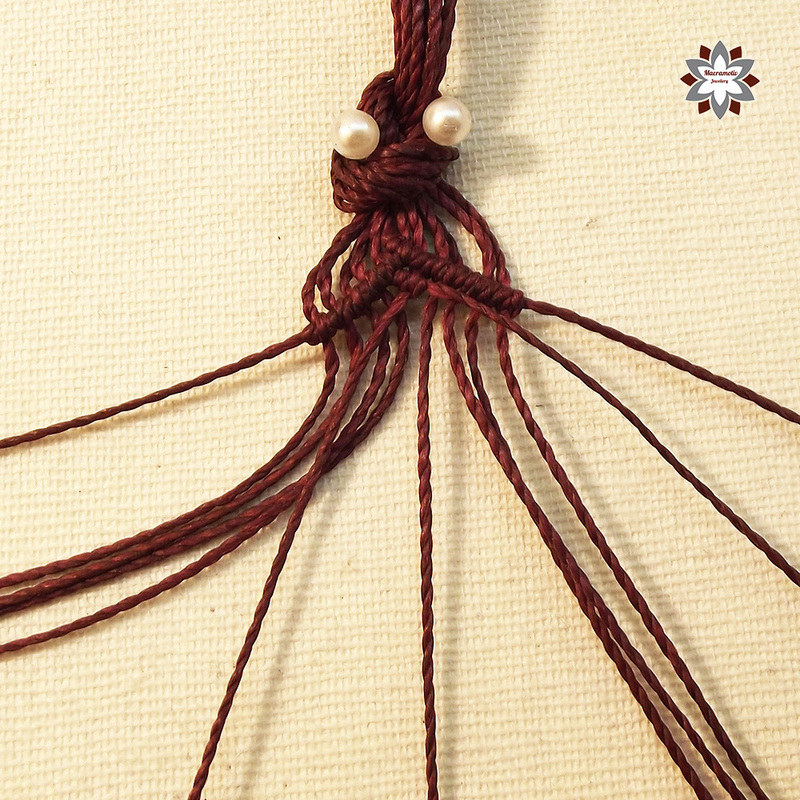 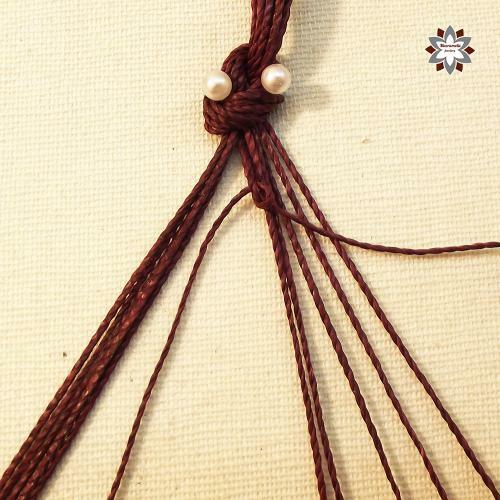 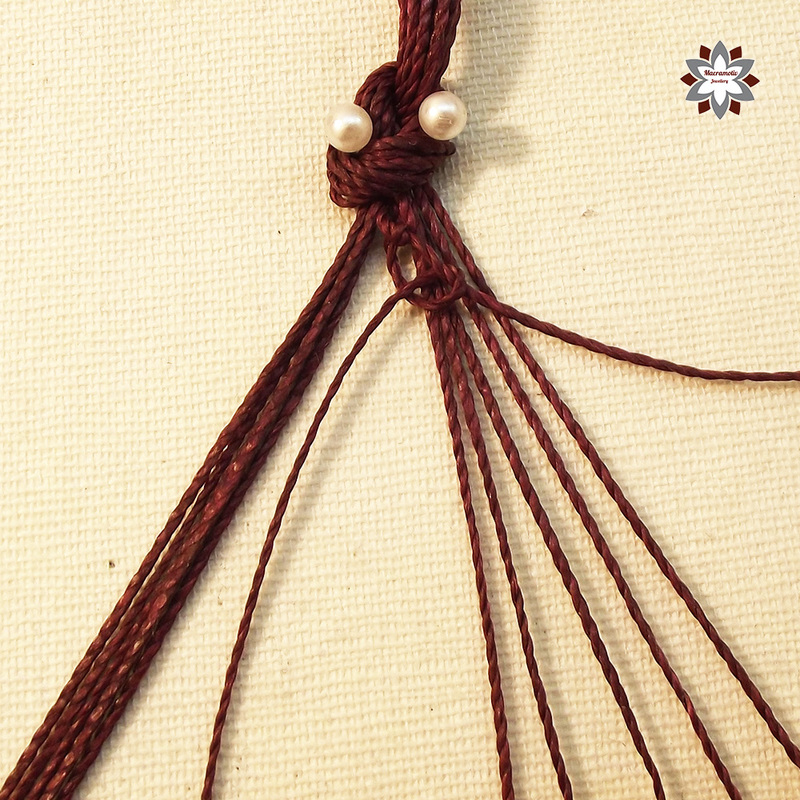 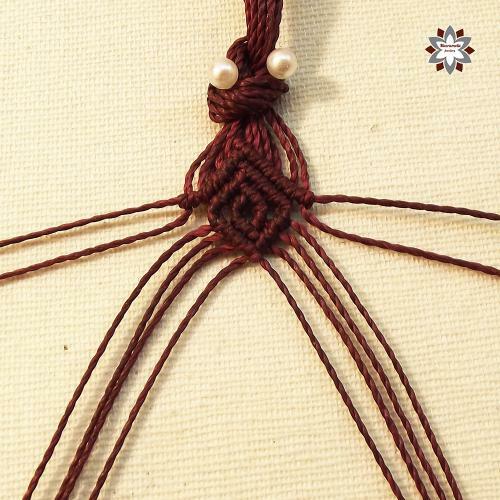 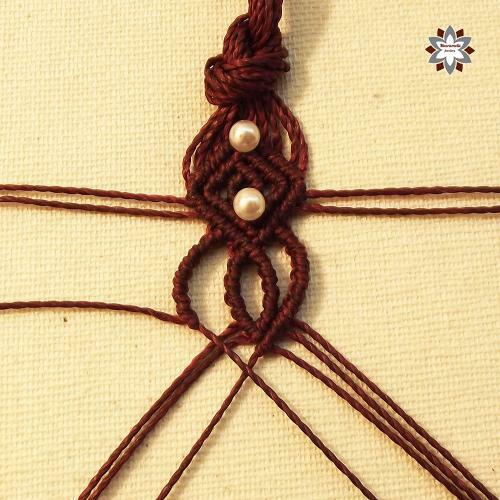 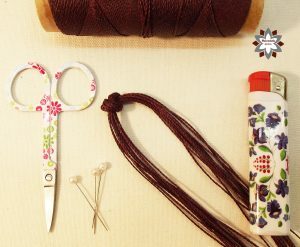 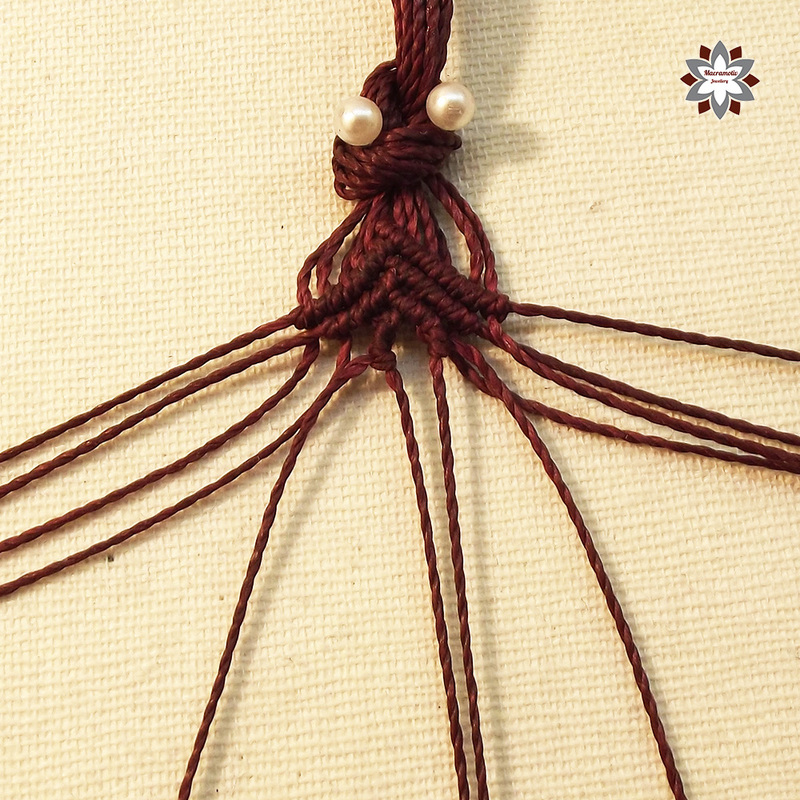 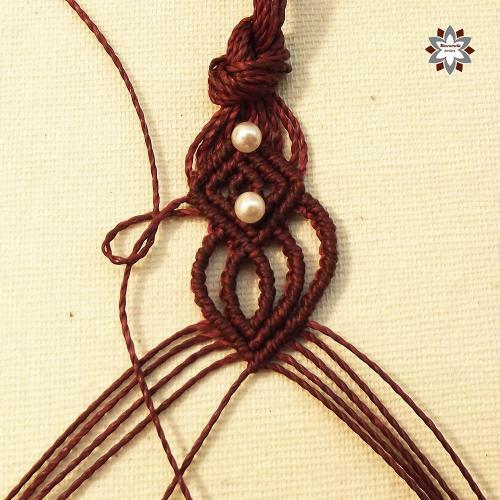 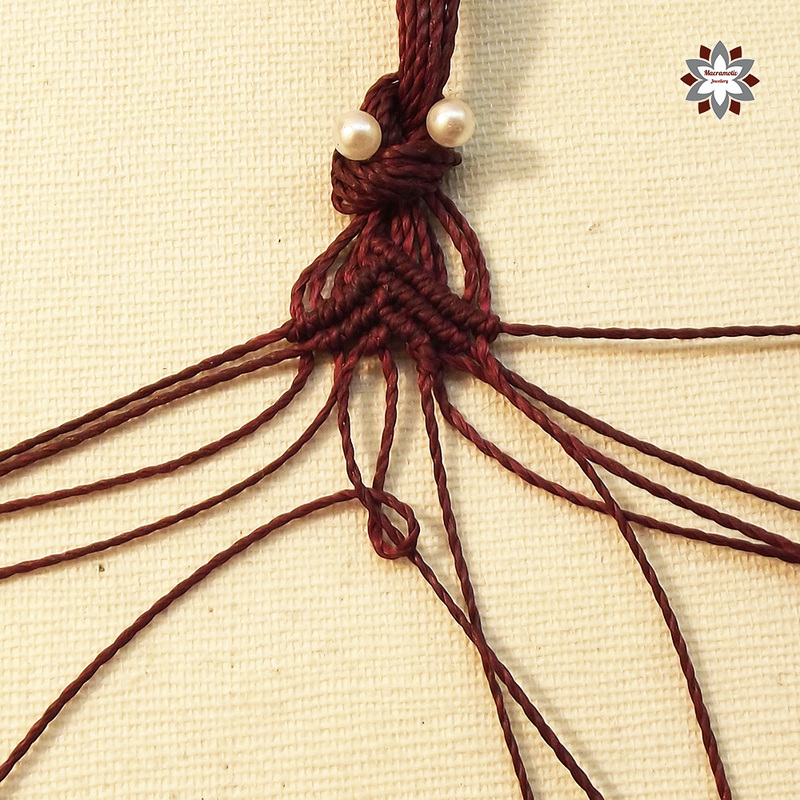 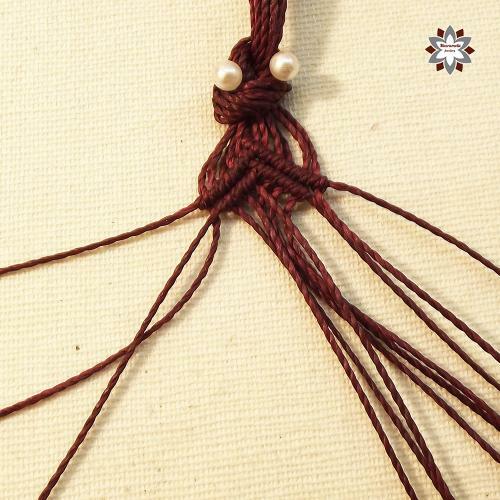 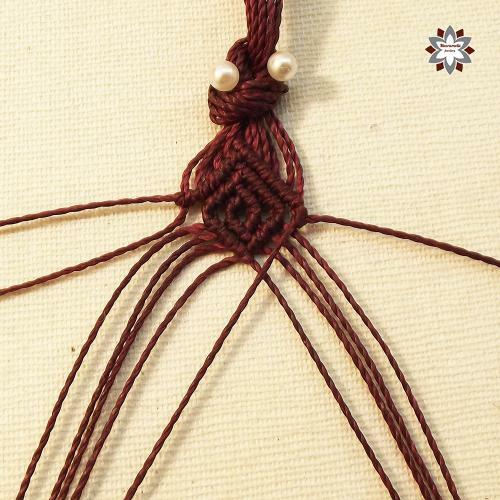 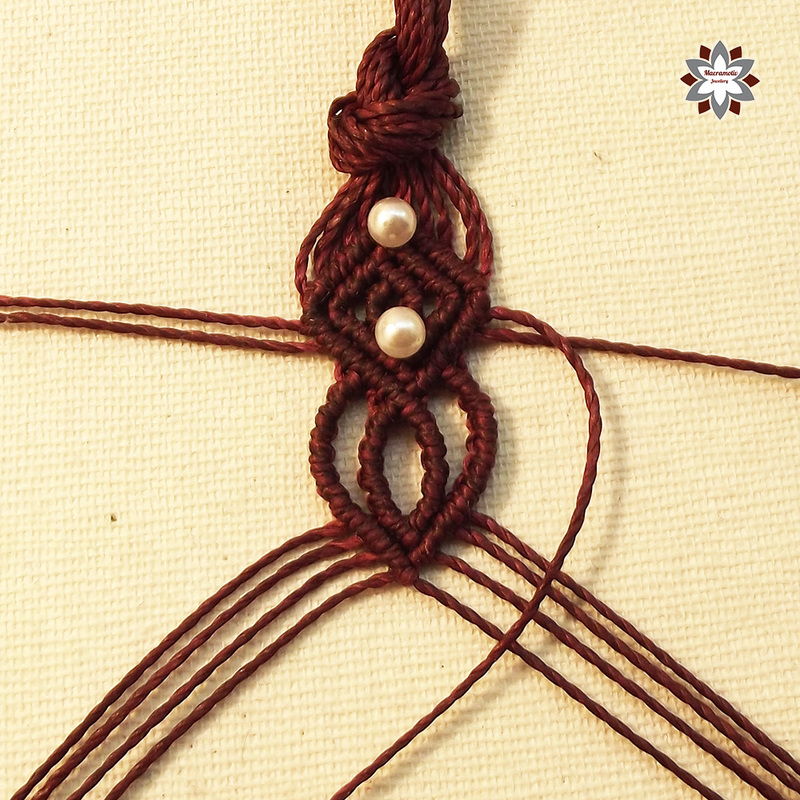 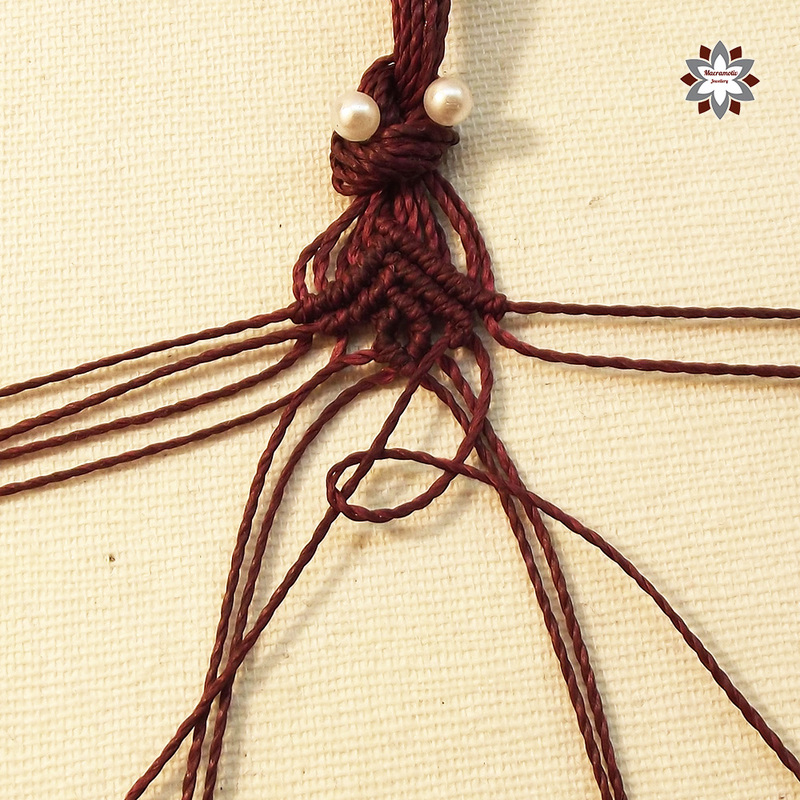 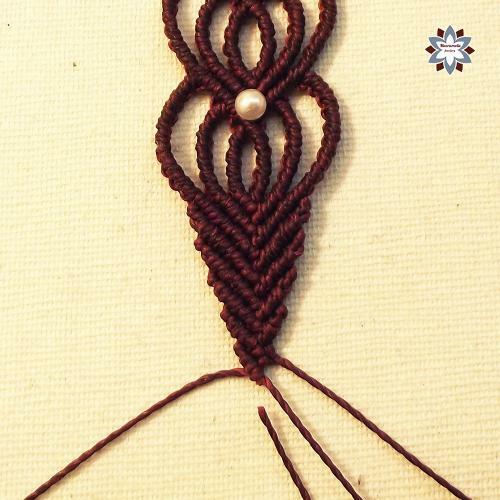 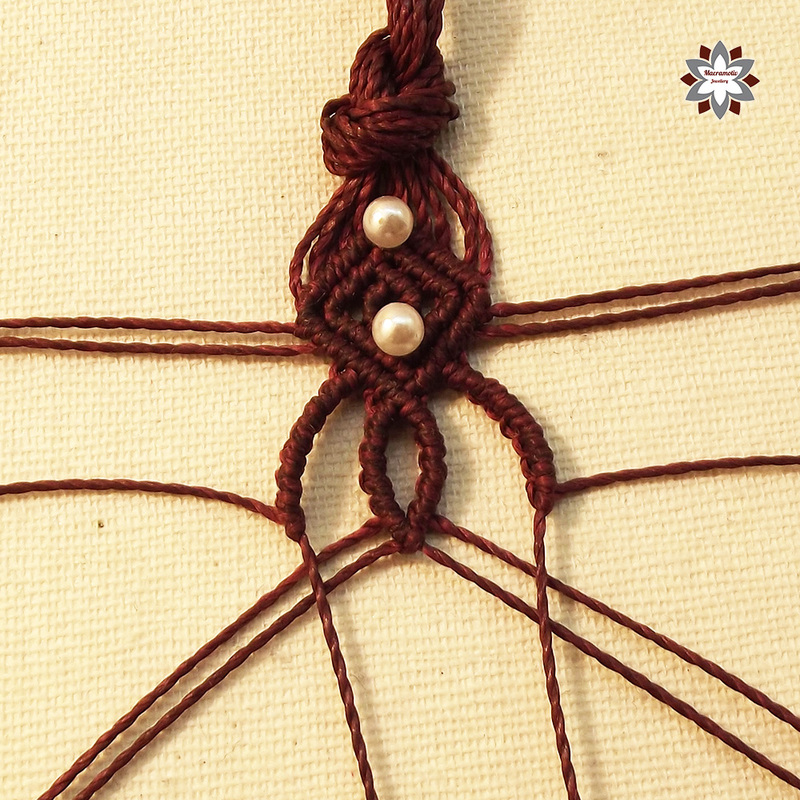 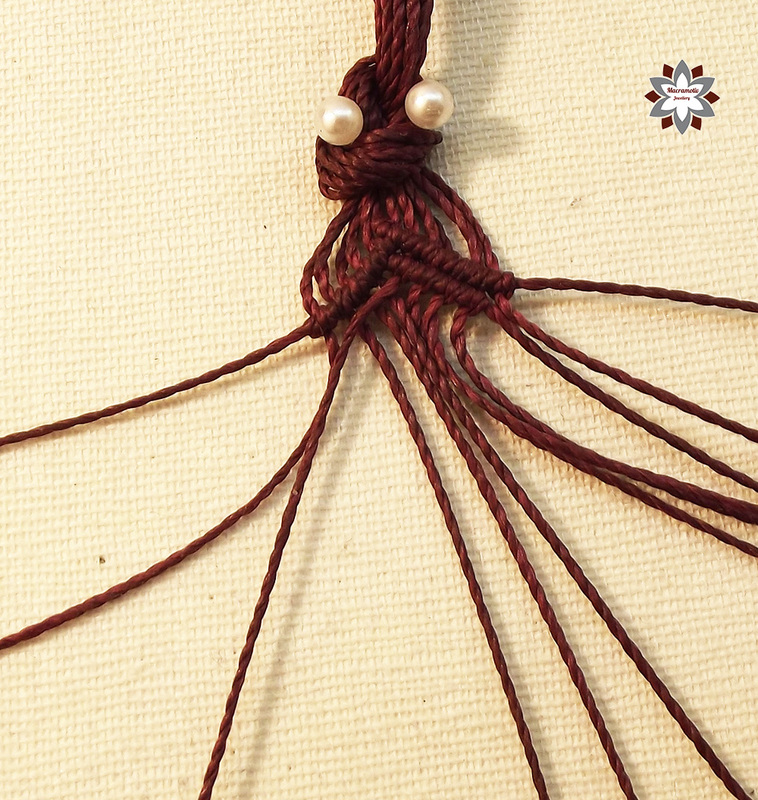 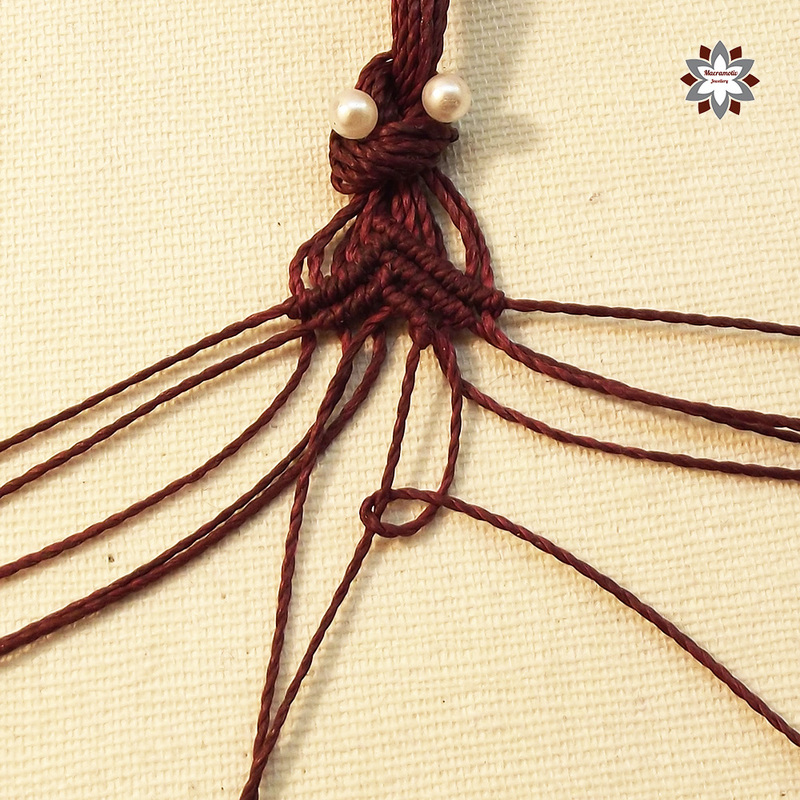 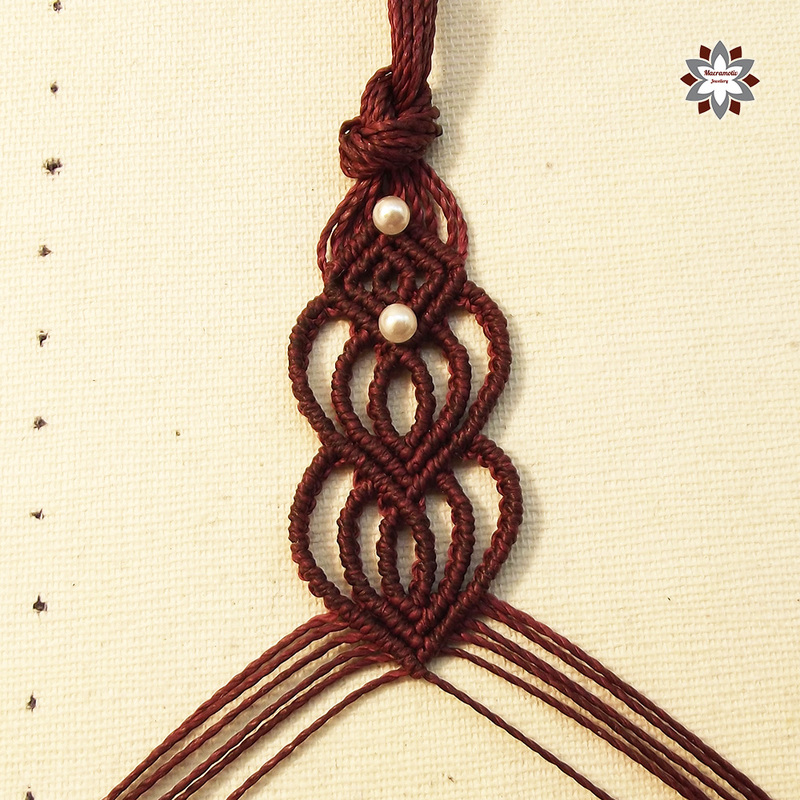 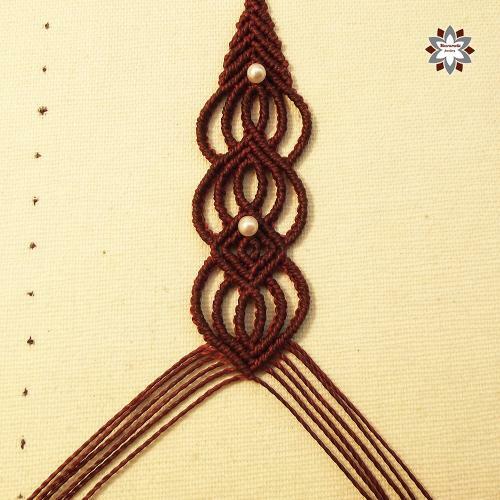 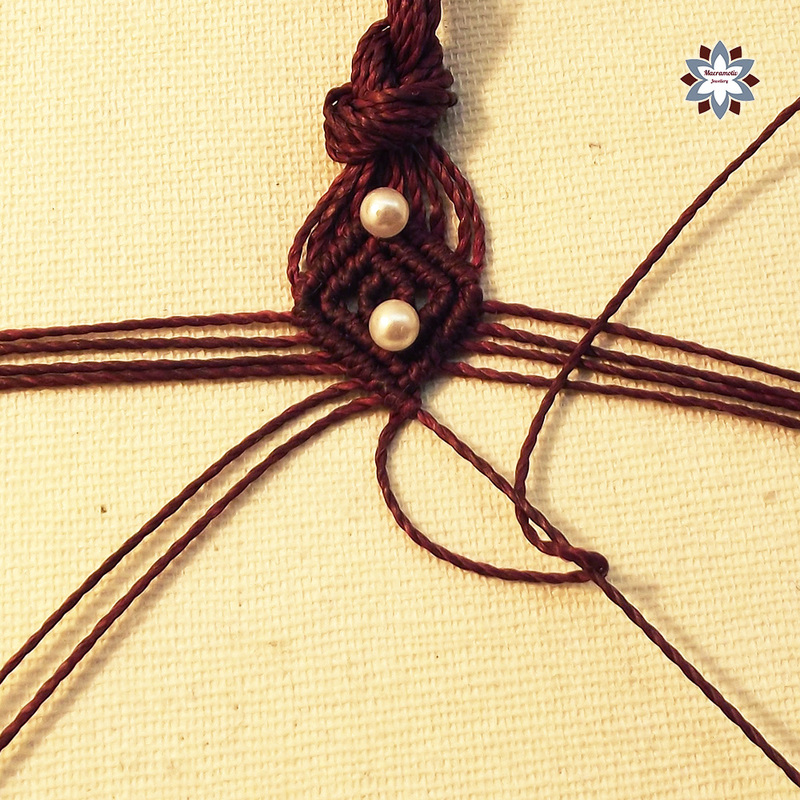 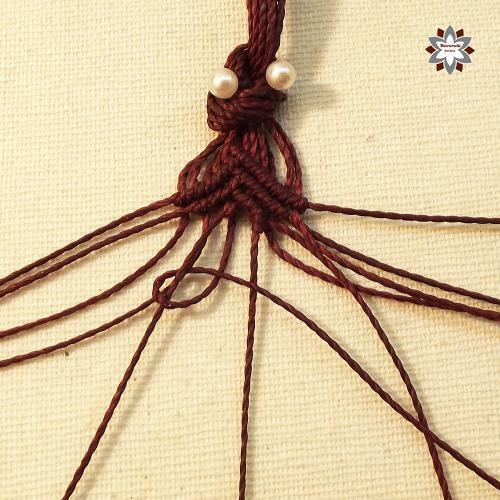 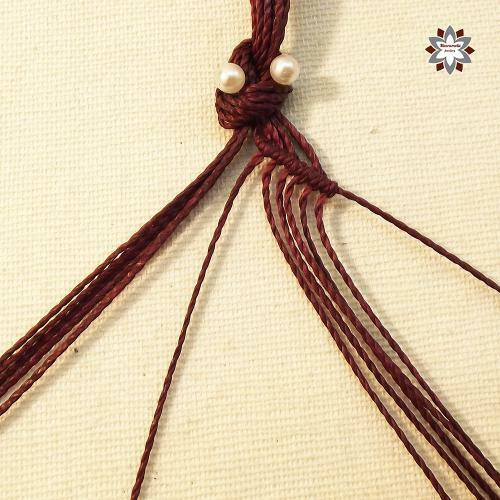 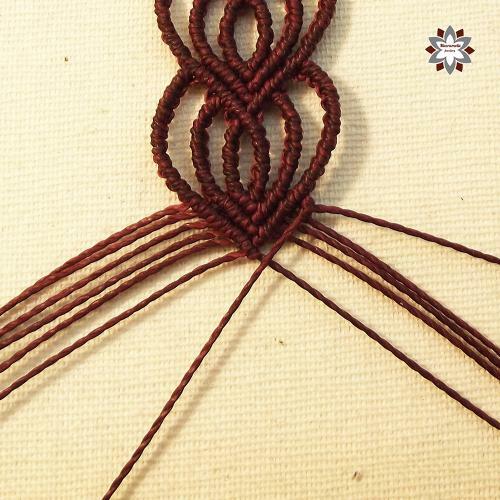 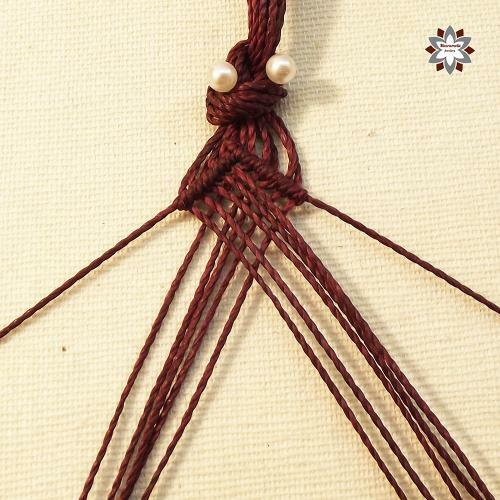 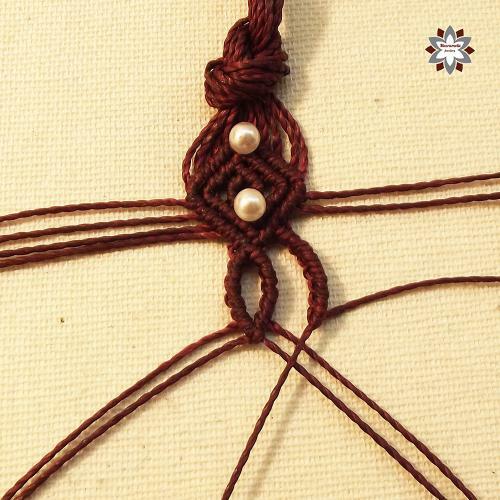 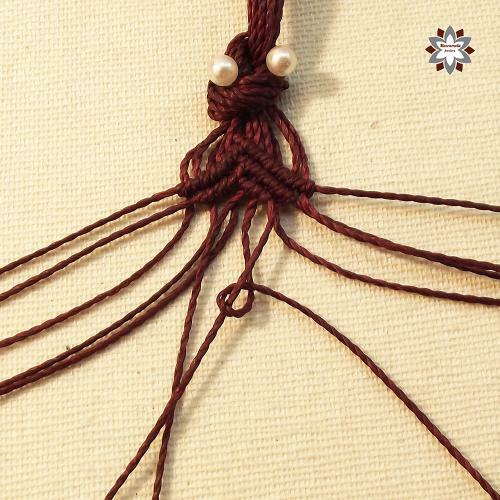 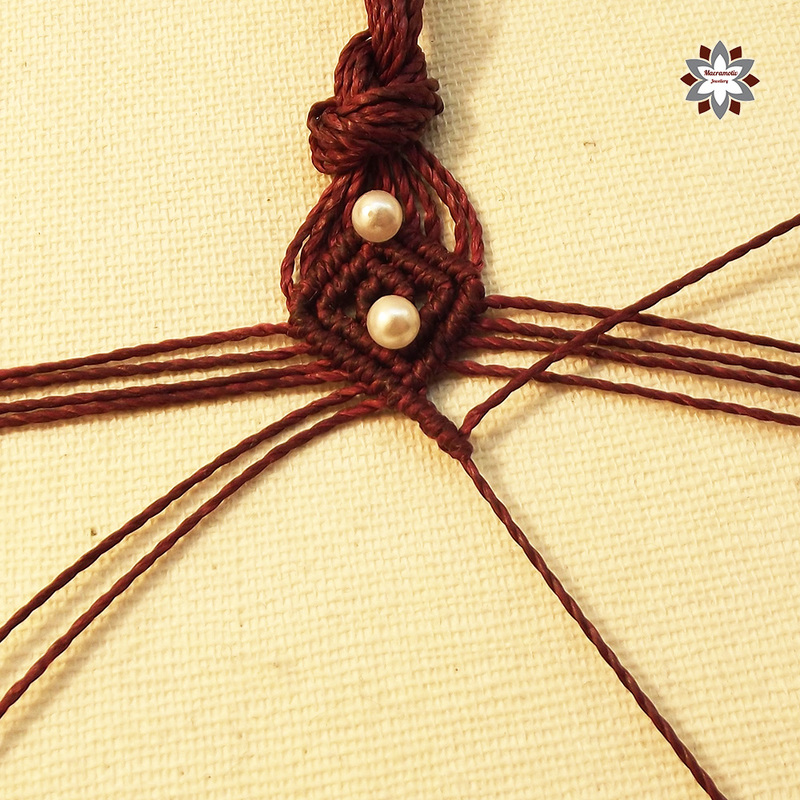 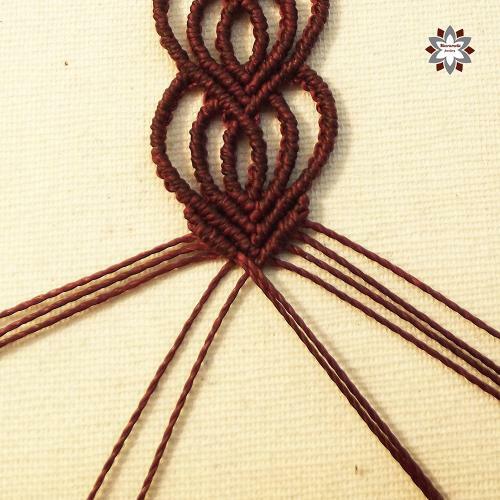 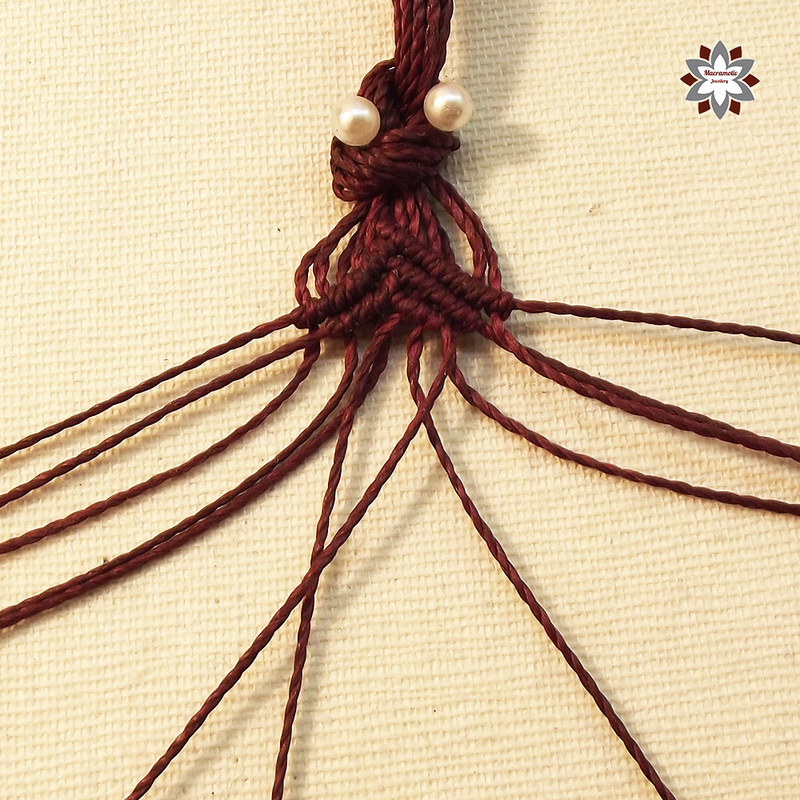 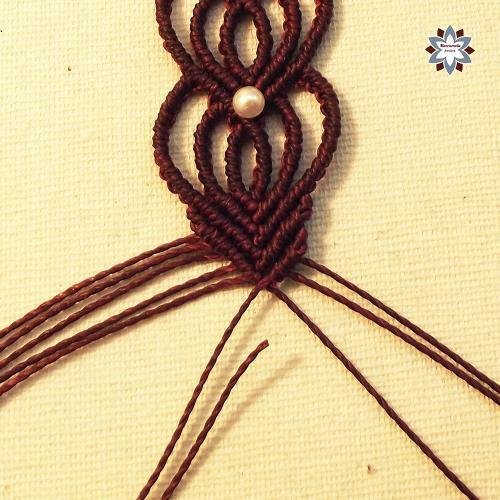 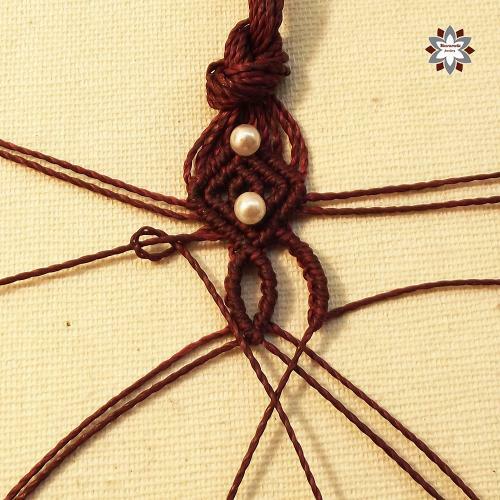 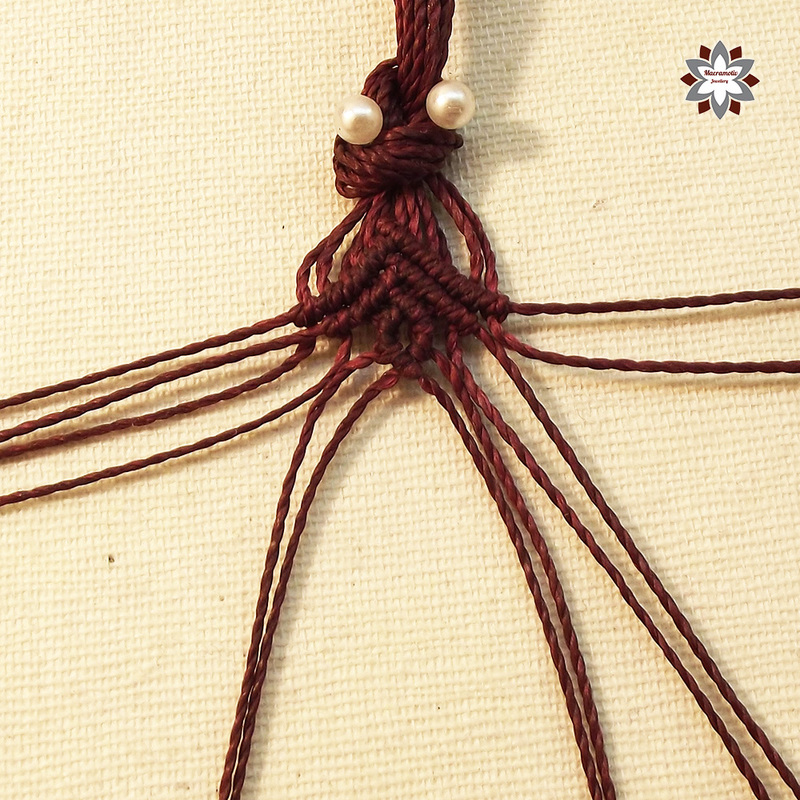 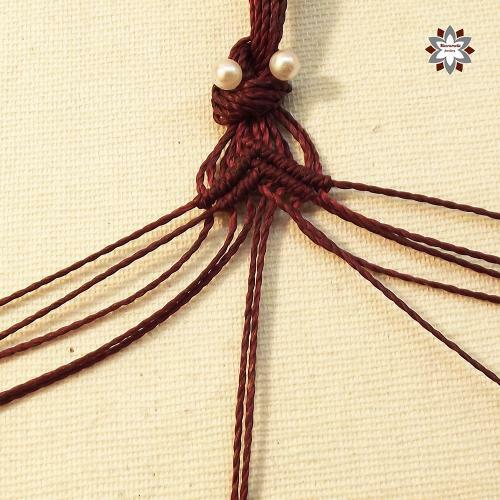 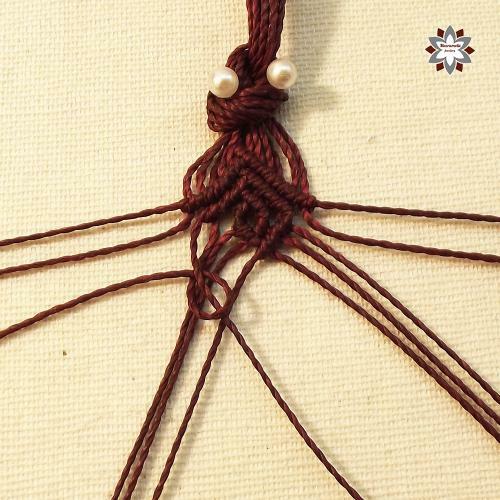 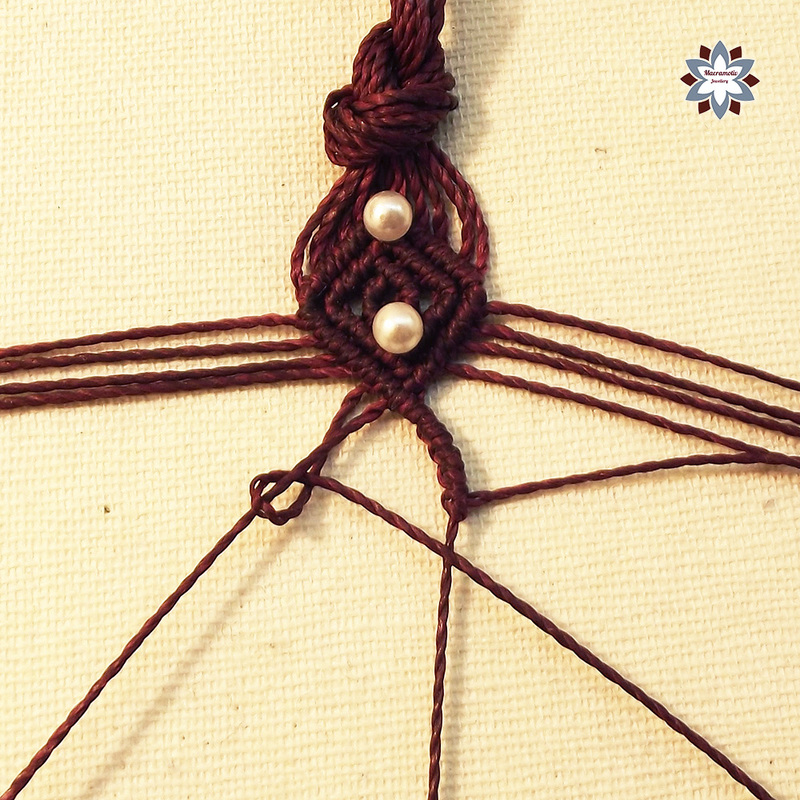 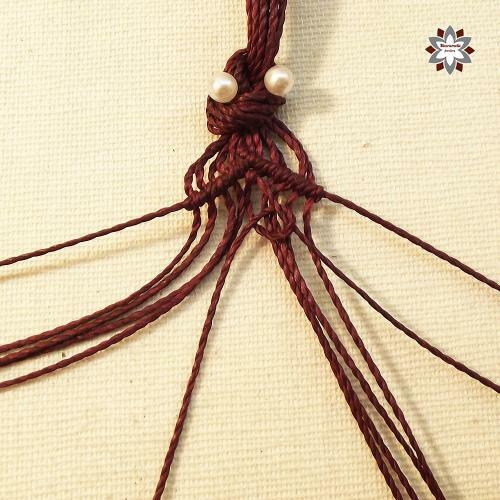 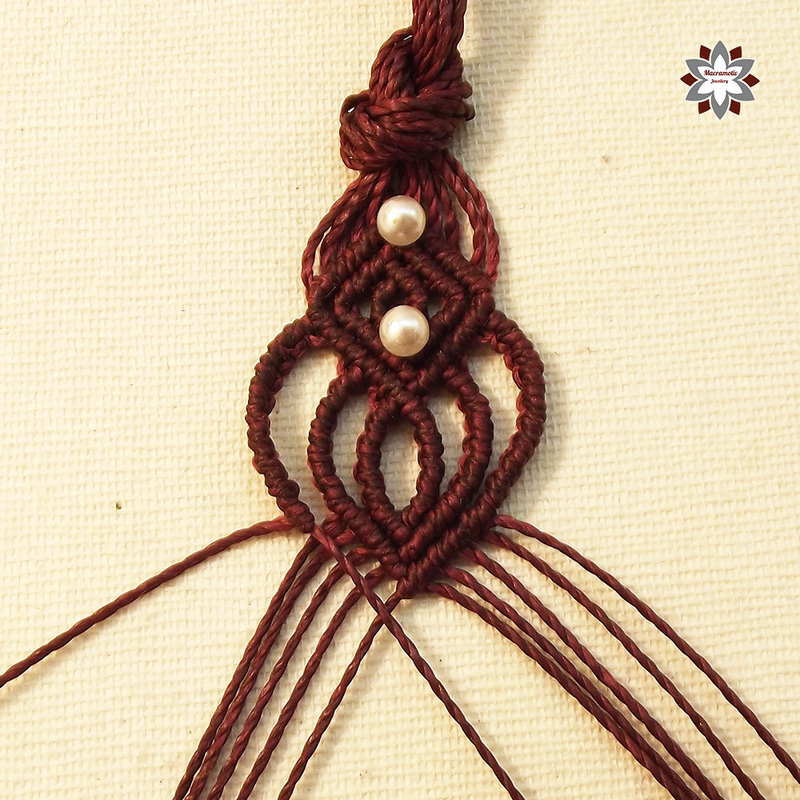 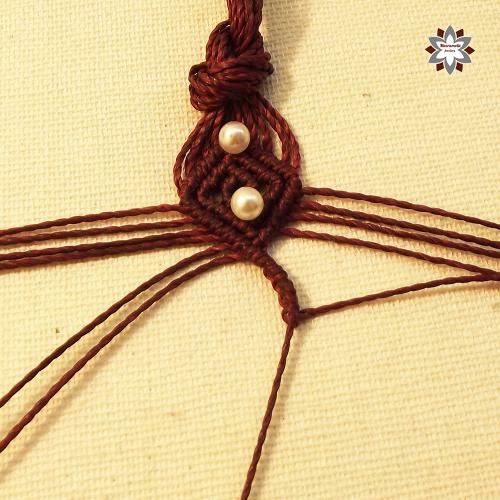 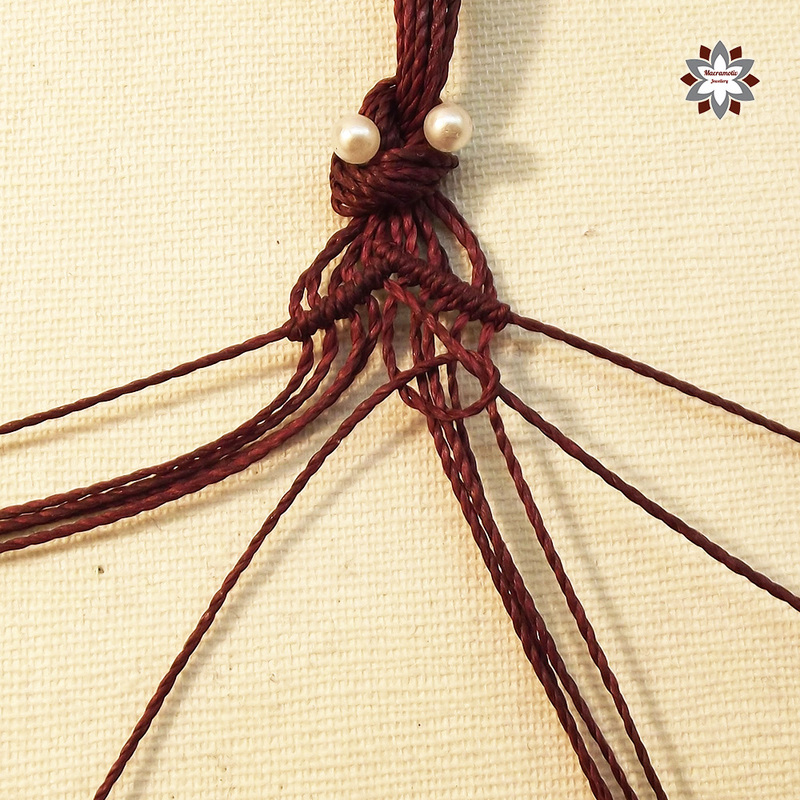 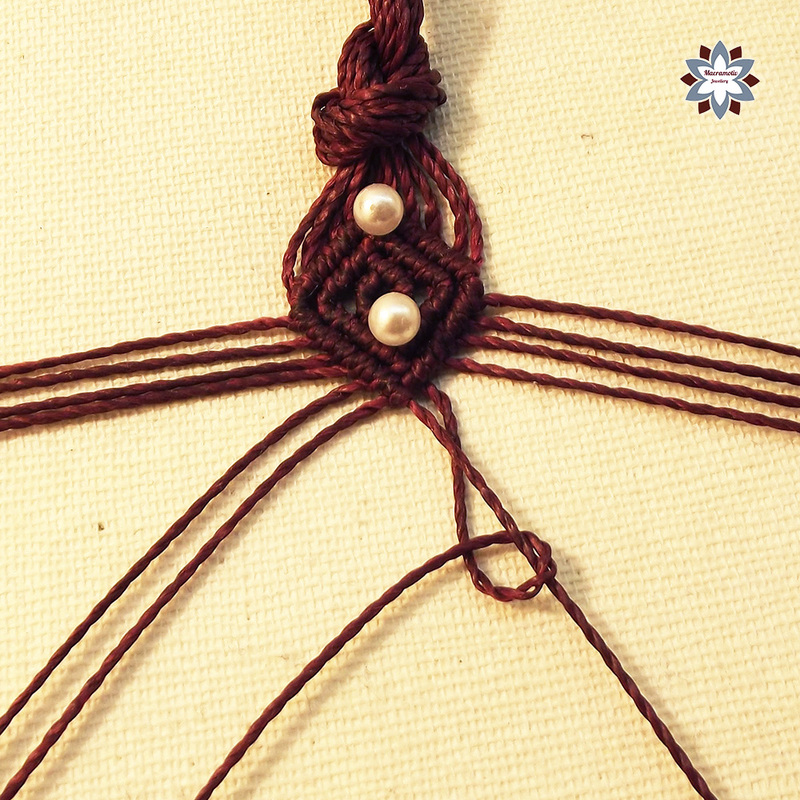 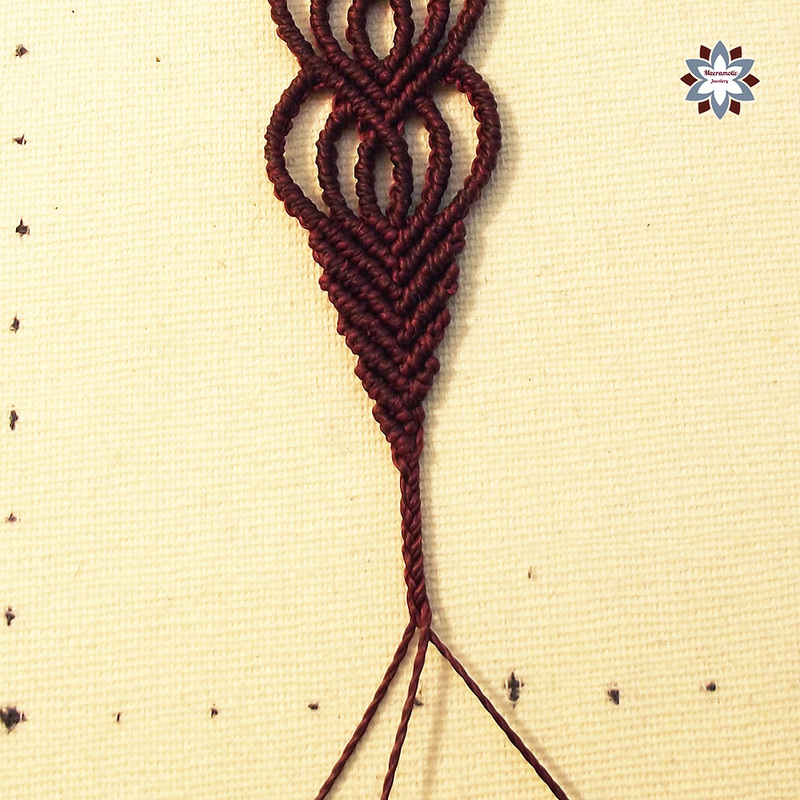 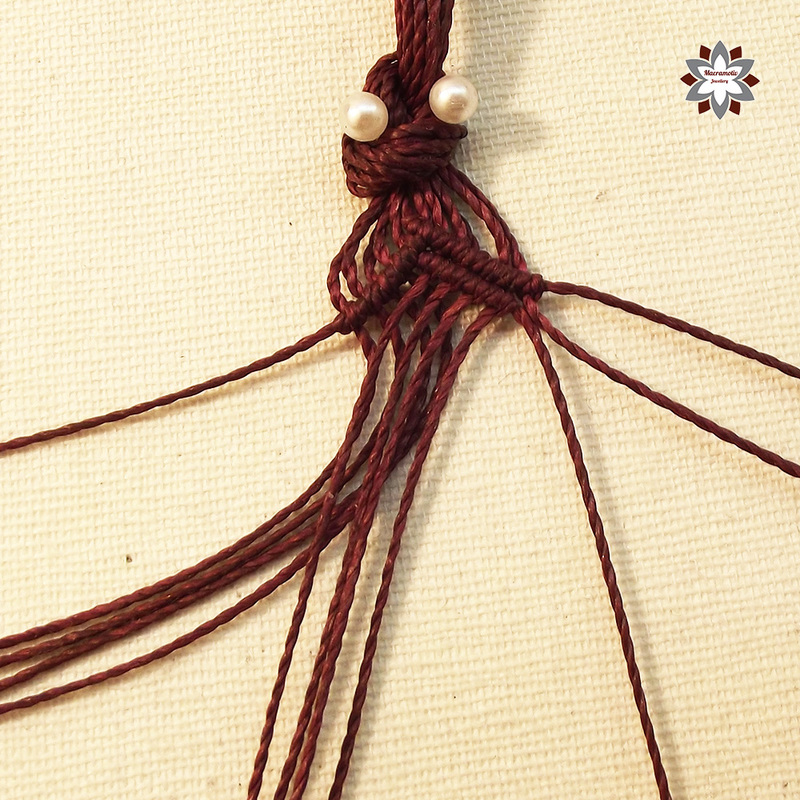 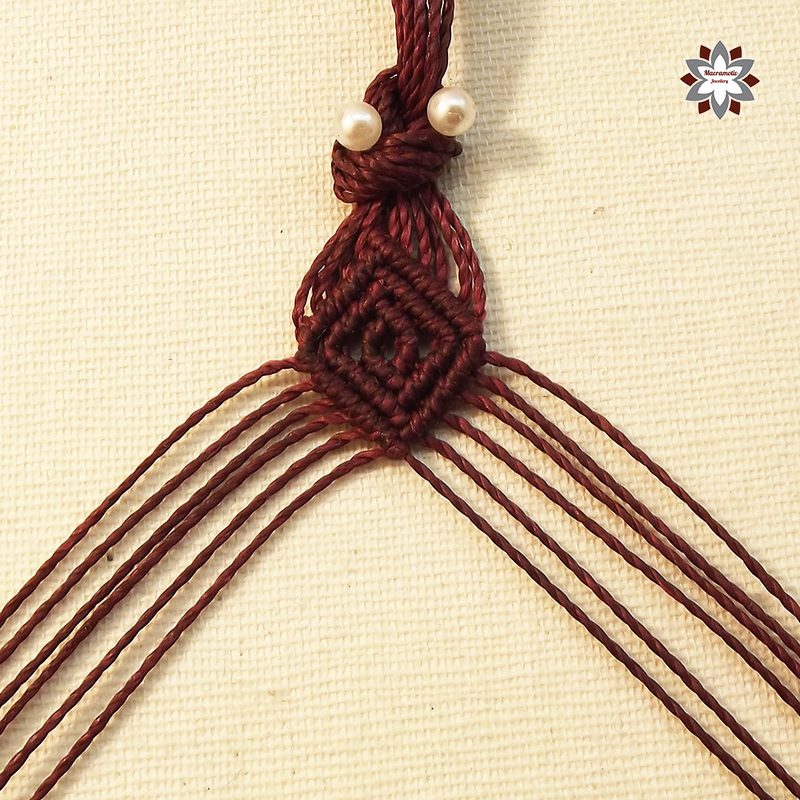 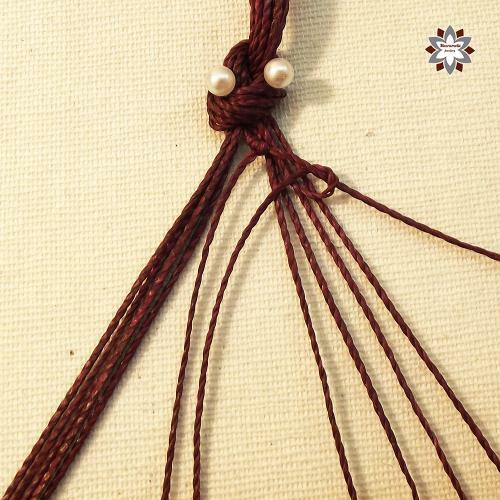 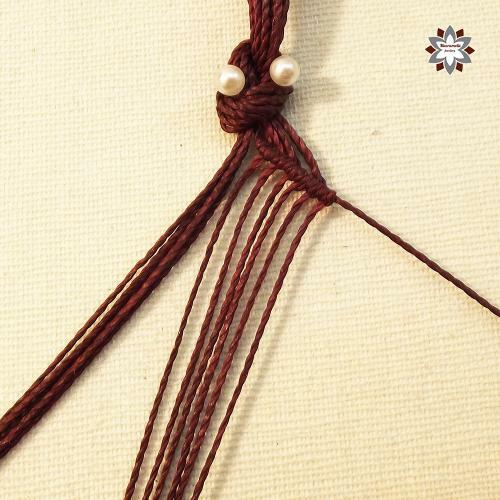 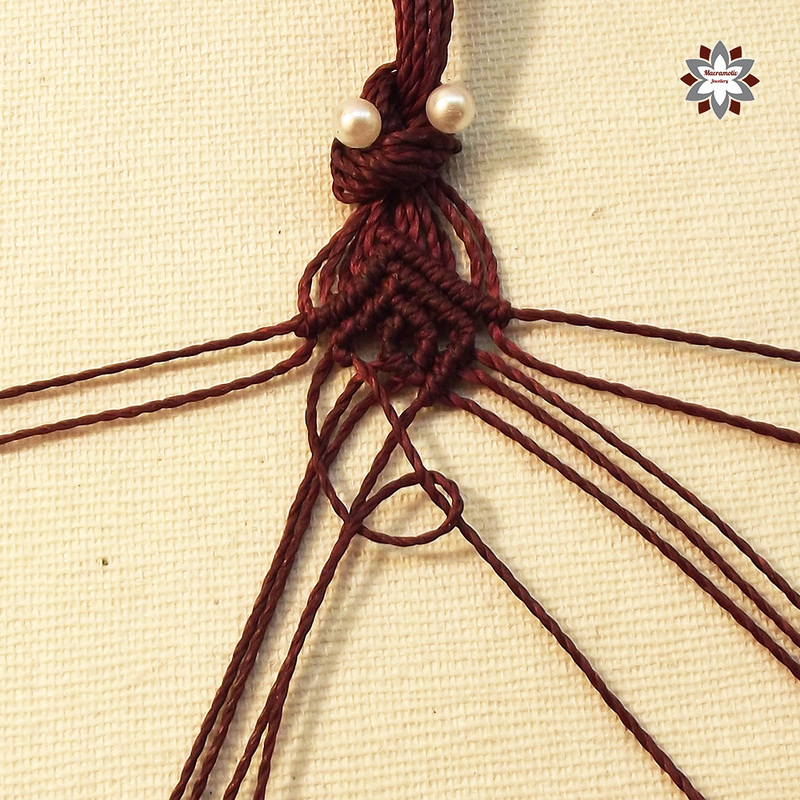 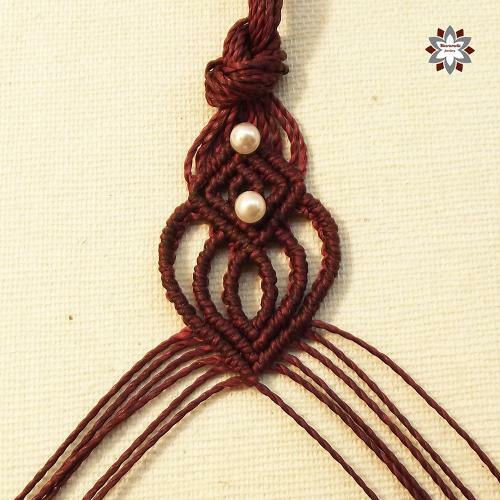 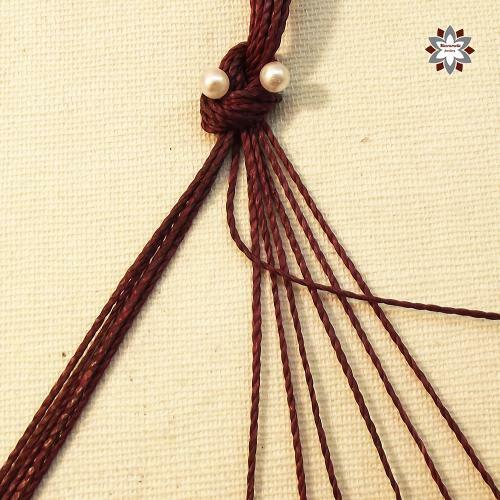 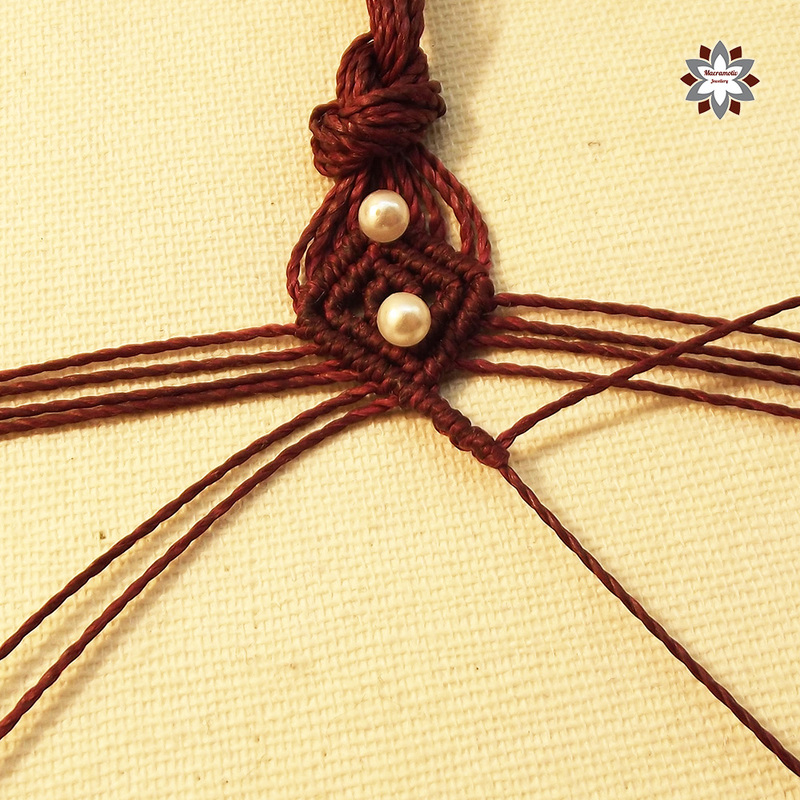 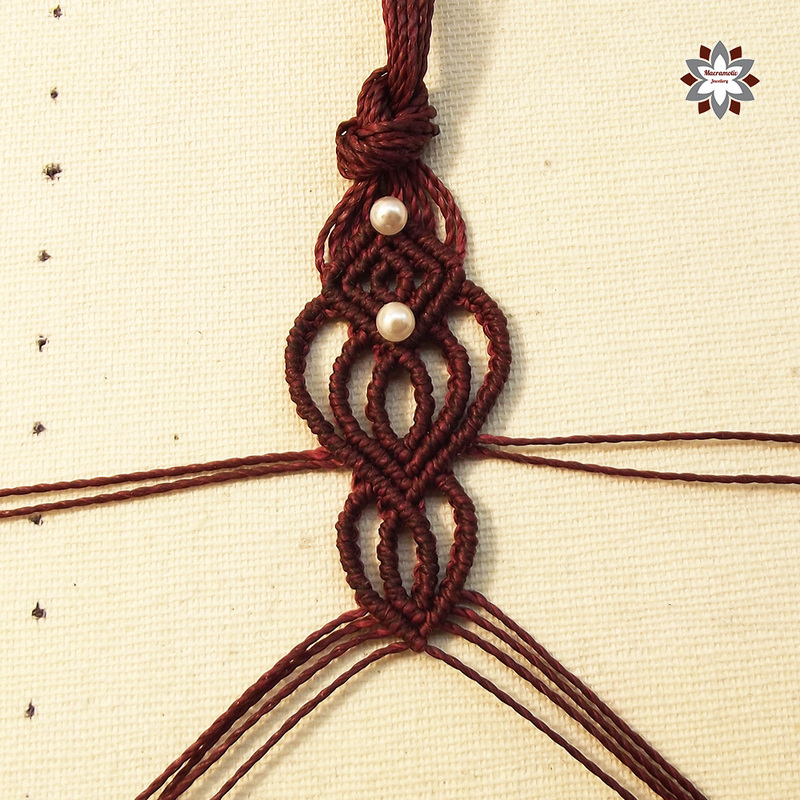 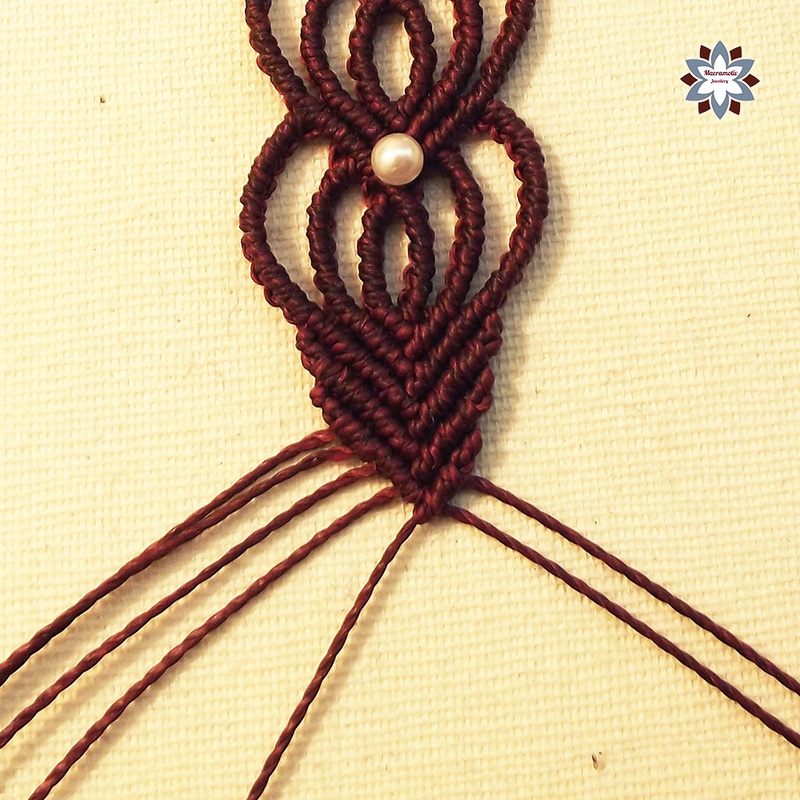 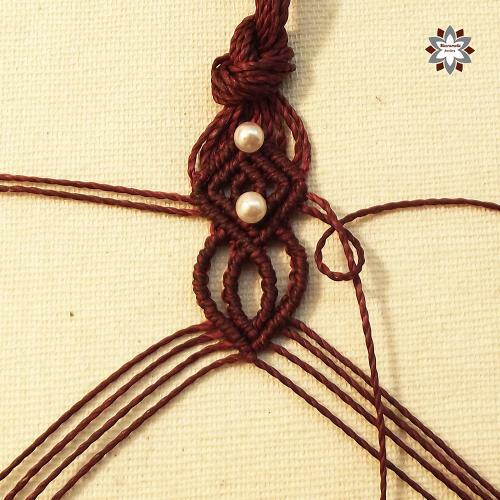 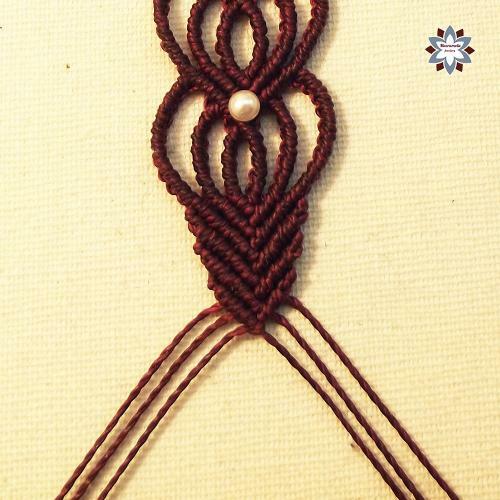 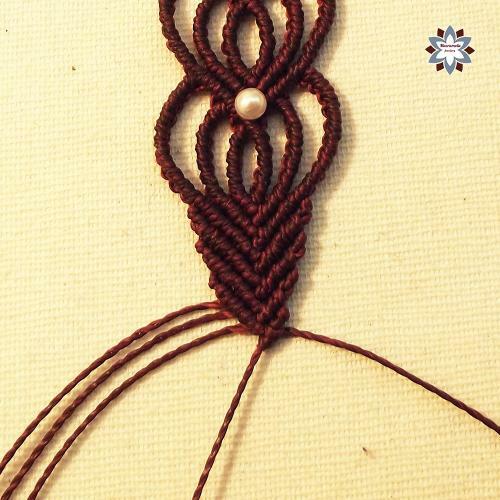 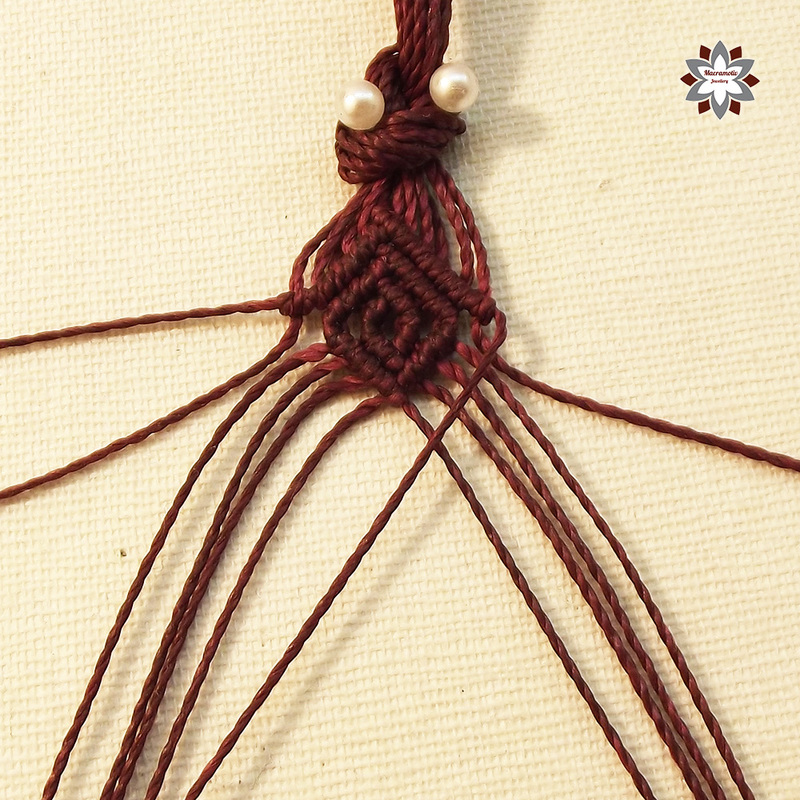 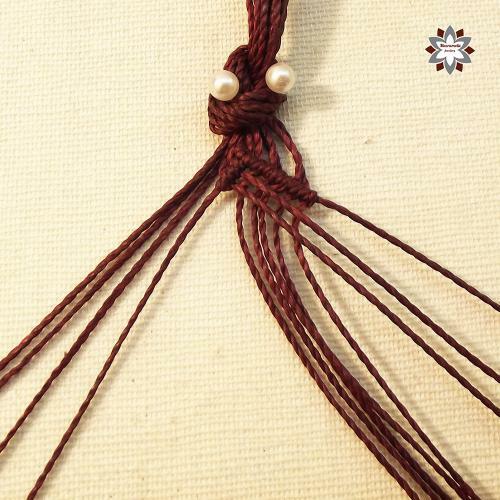 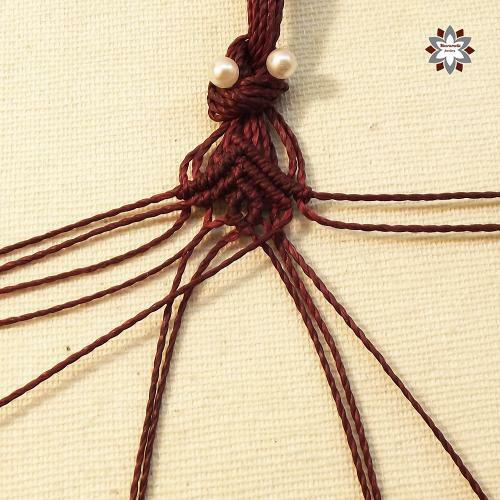 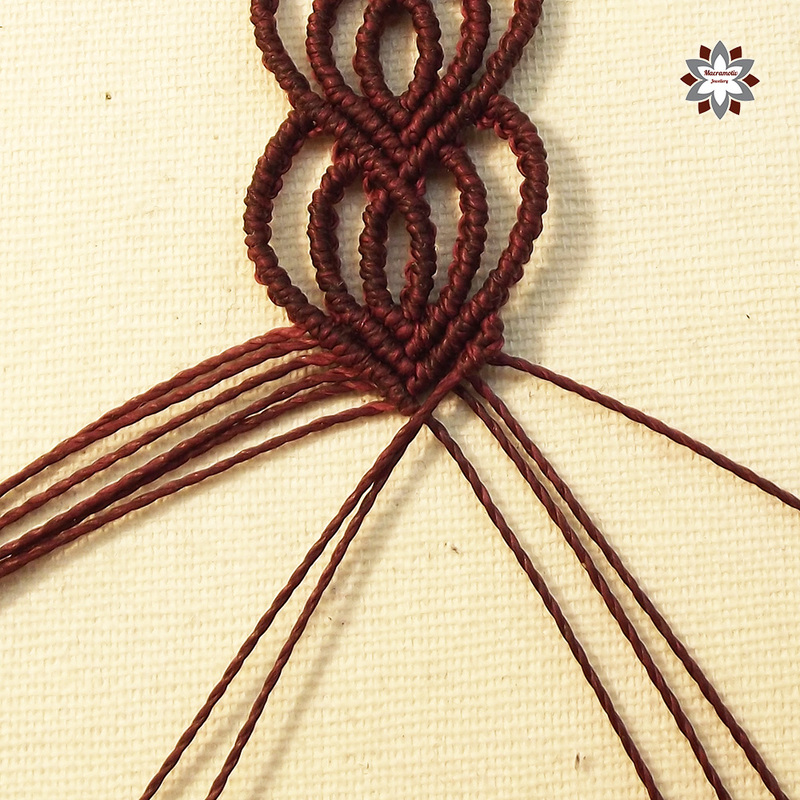 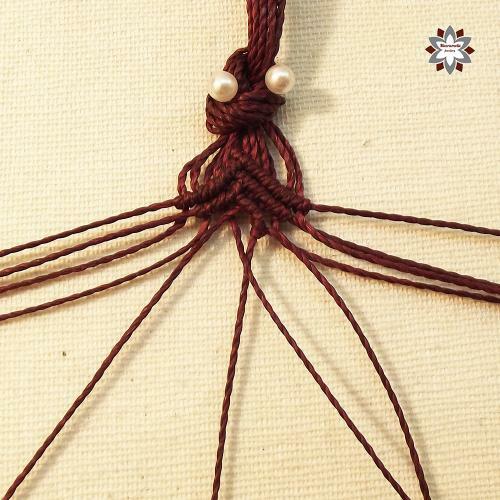 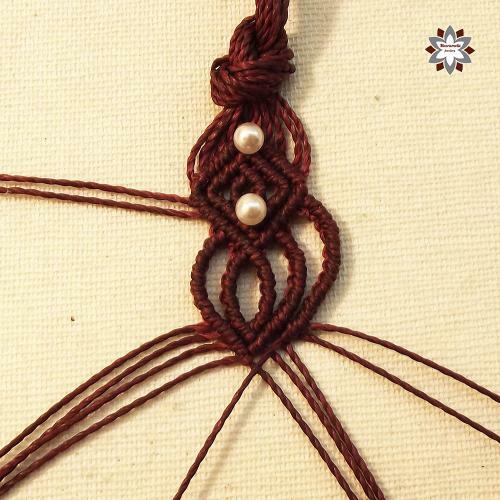 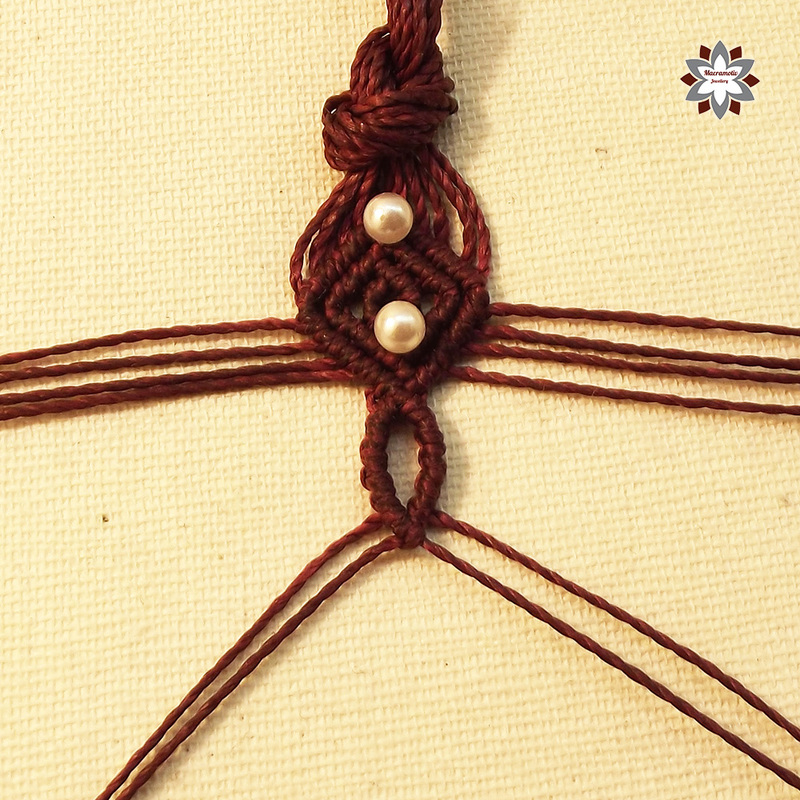 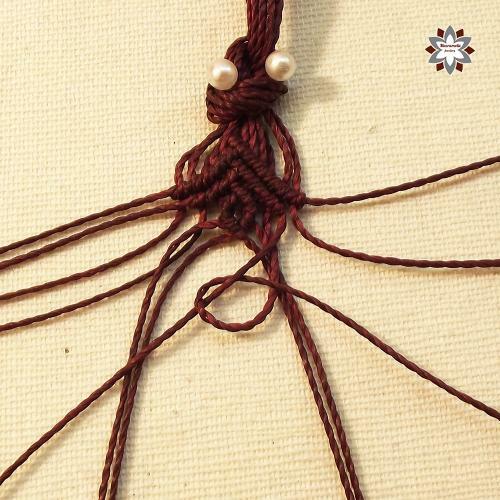 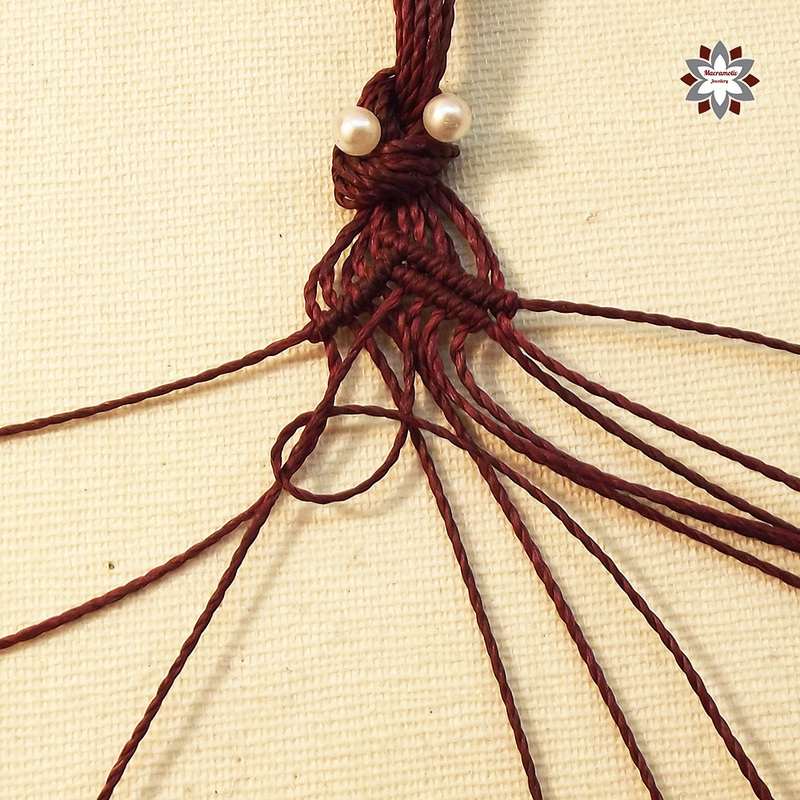 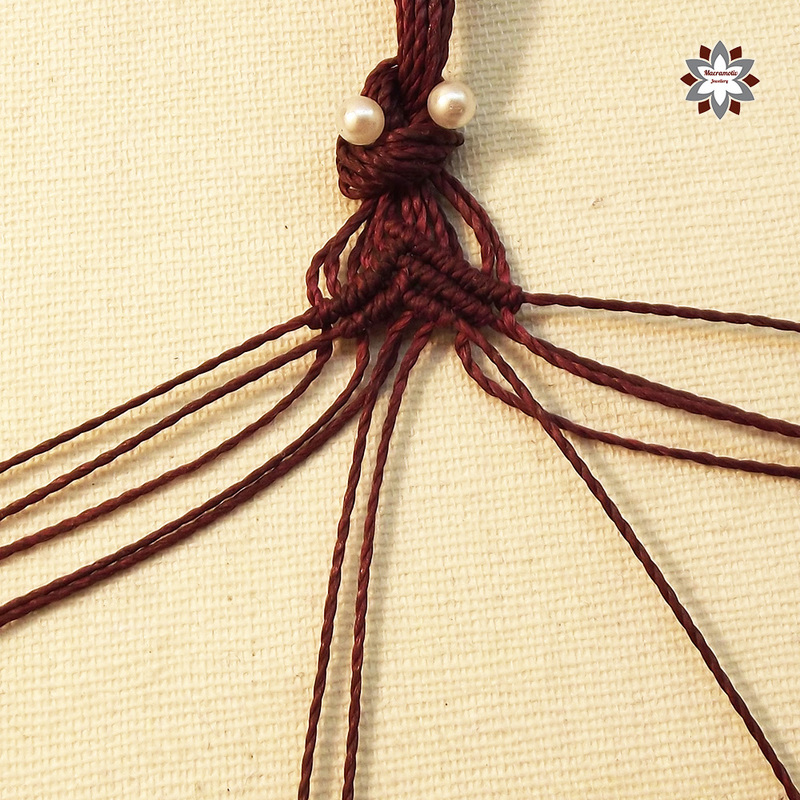 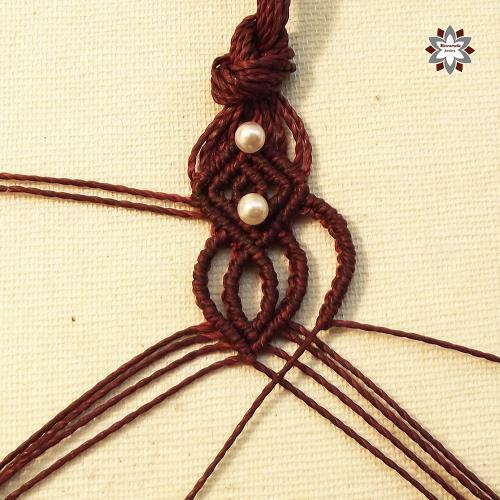 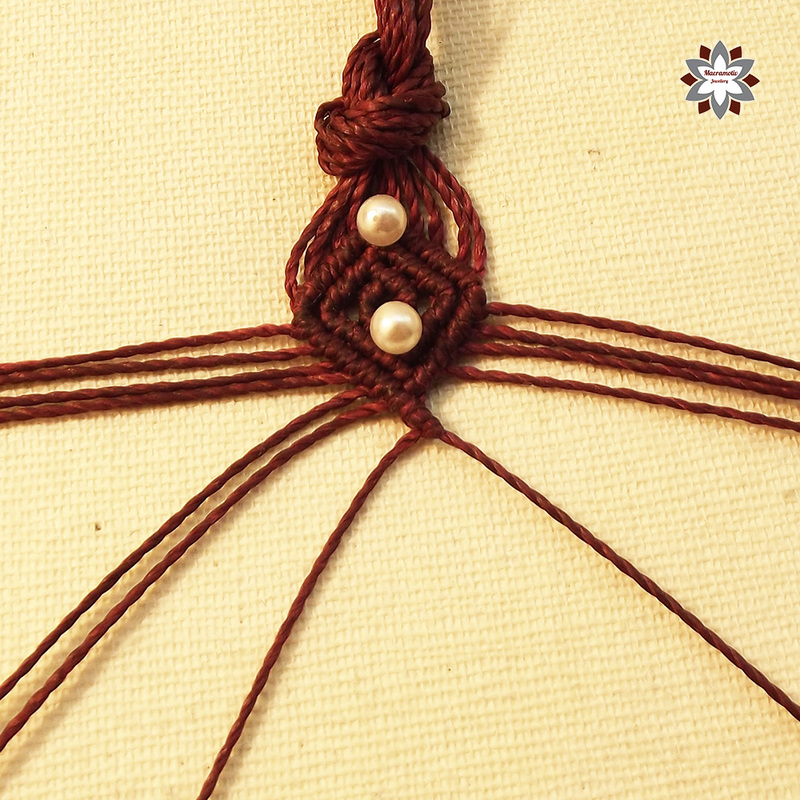 Start knotting the rhombus pattern with the longer group of threads. I used 1mm Linhasita waxed polyester cord. 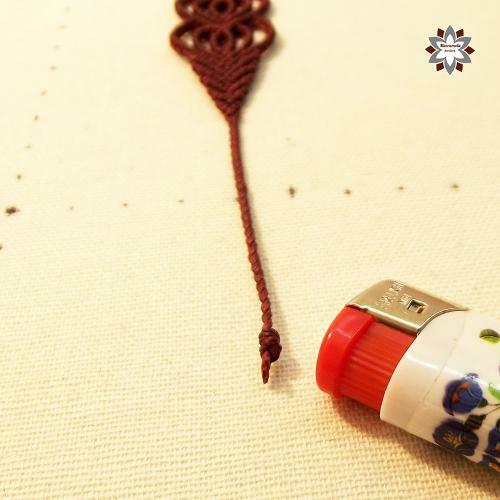 I love this cord very much. 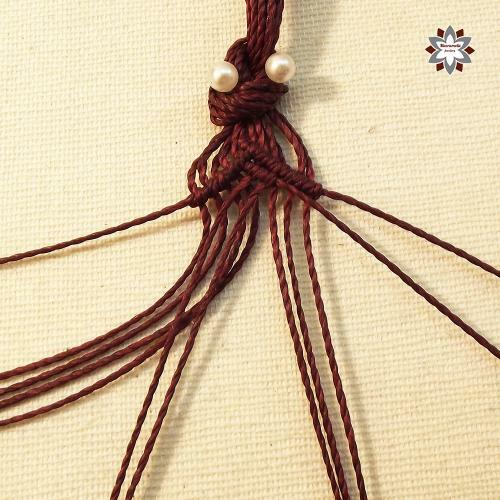 12 x 100cm waxed polyester cord (1mm).